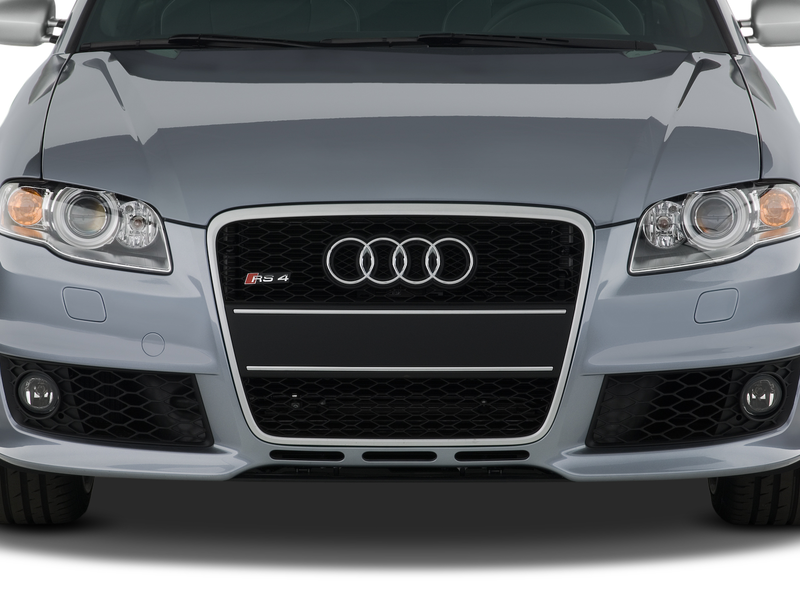 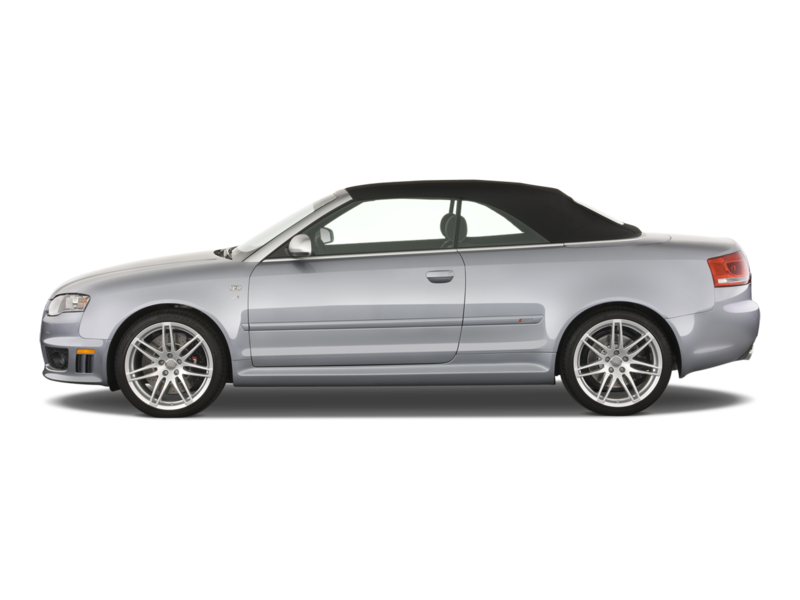 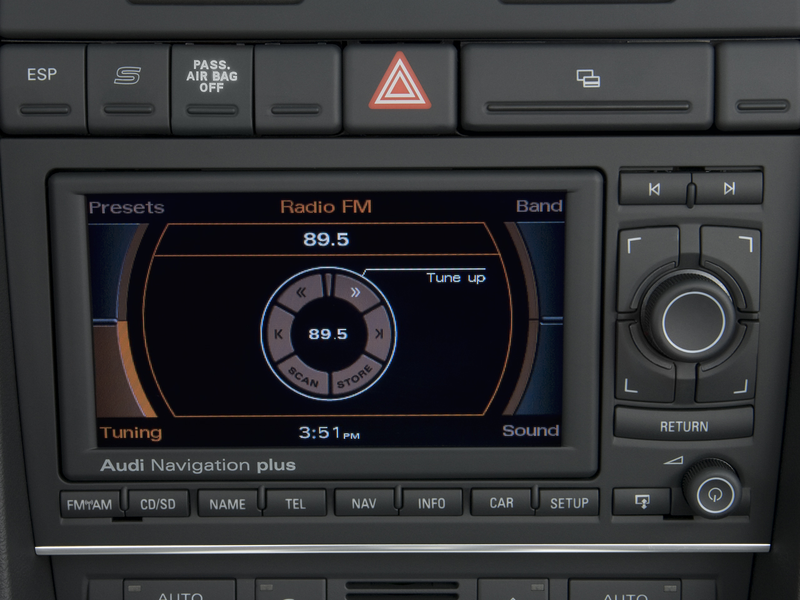 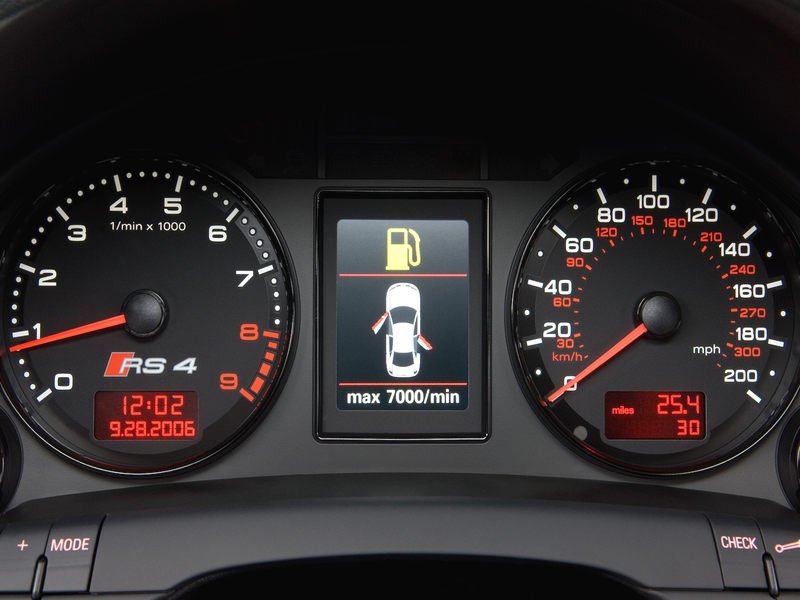 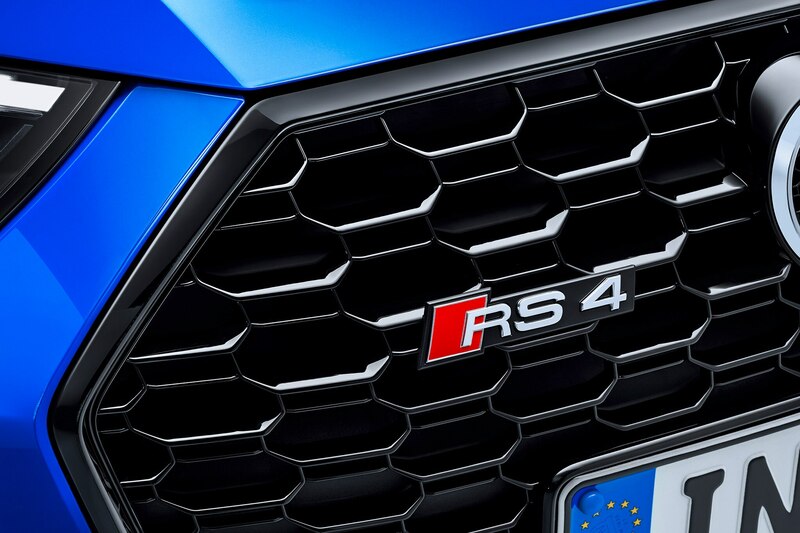 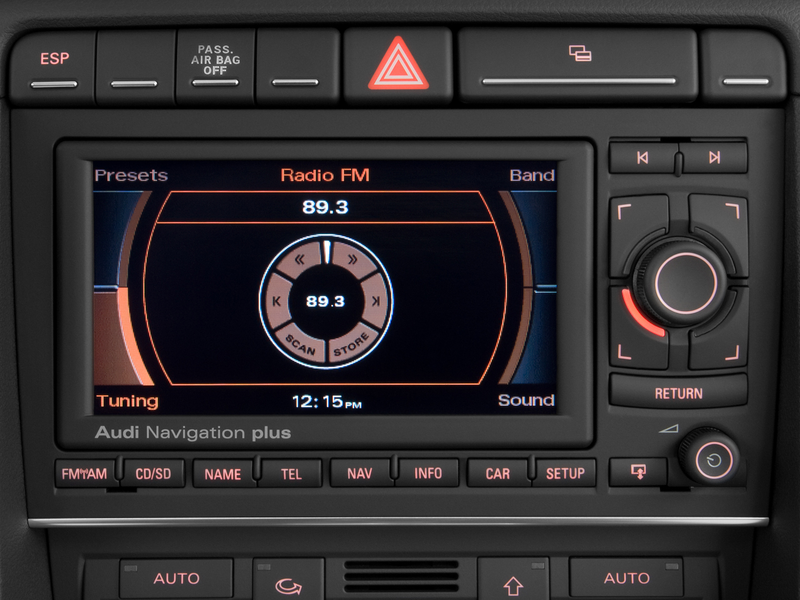 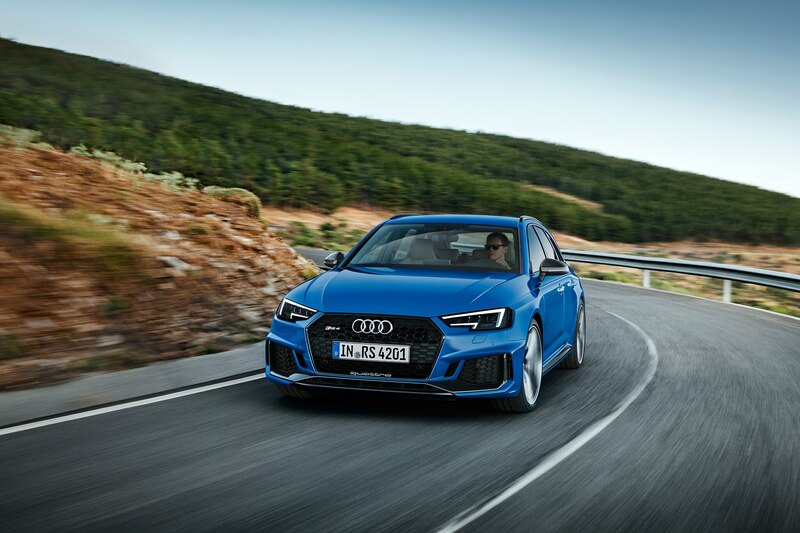 Last November, reports surfaced that Audi was planning to double the RS lineup, from seven to 14, within 18 months. 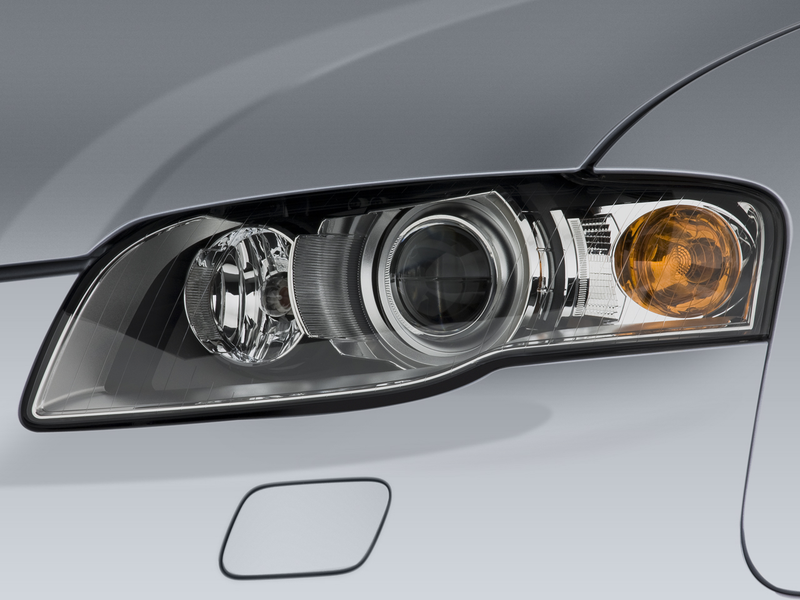 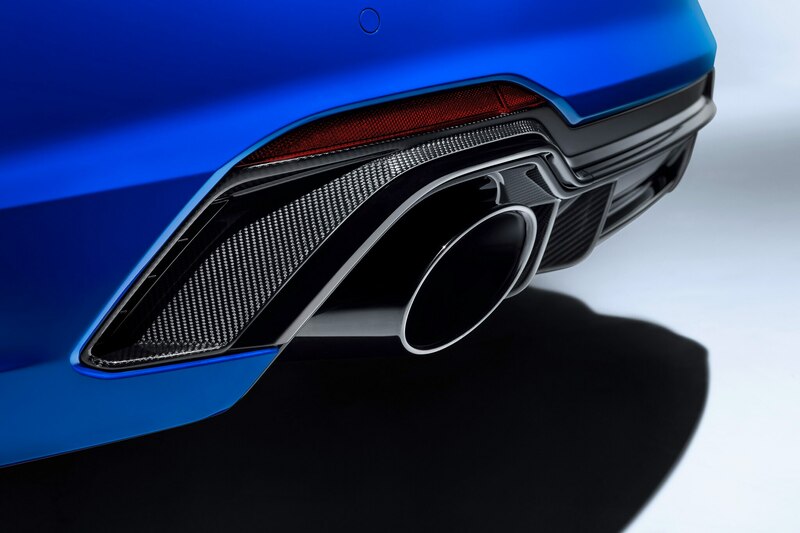 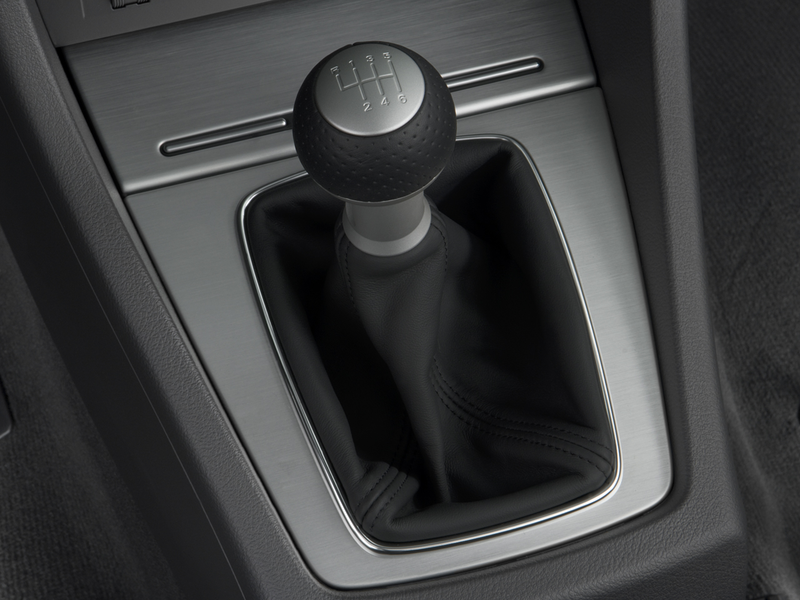 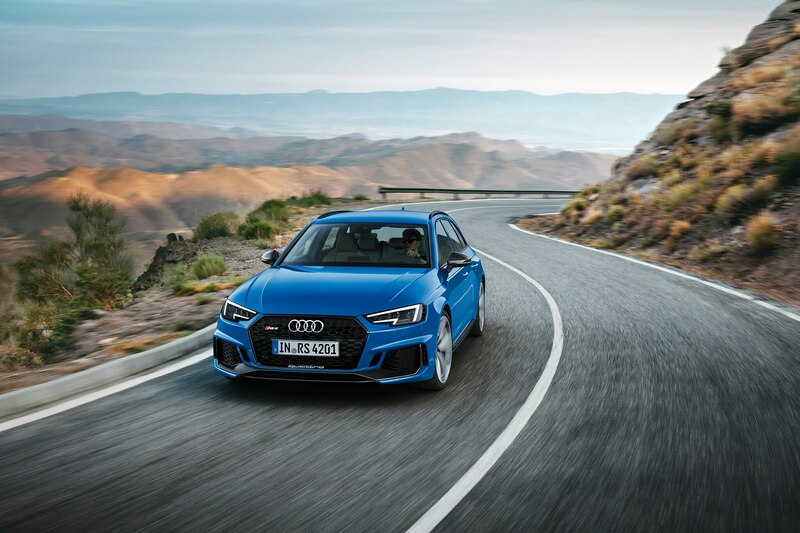 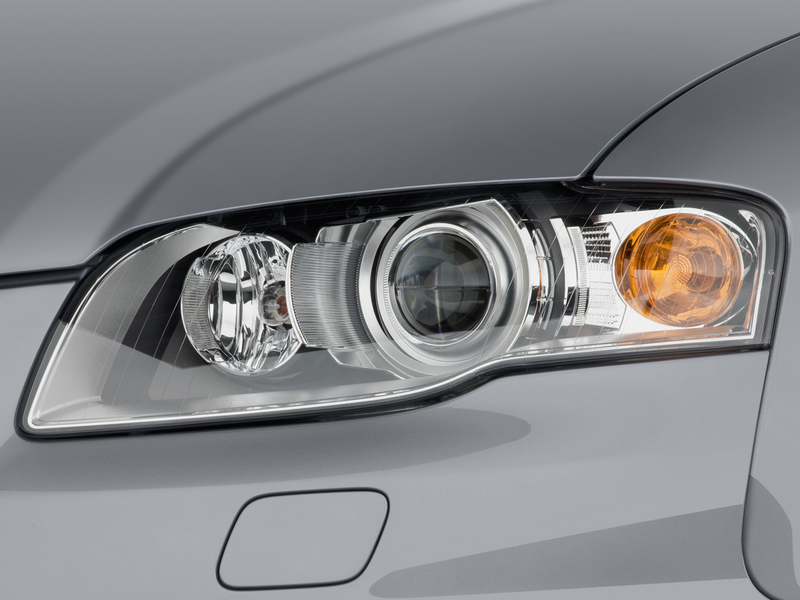 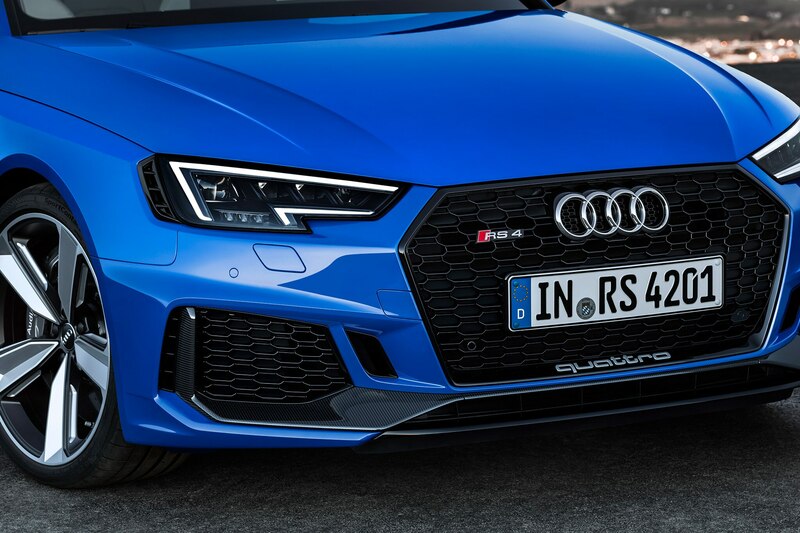 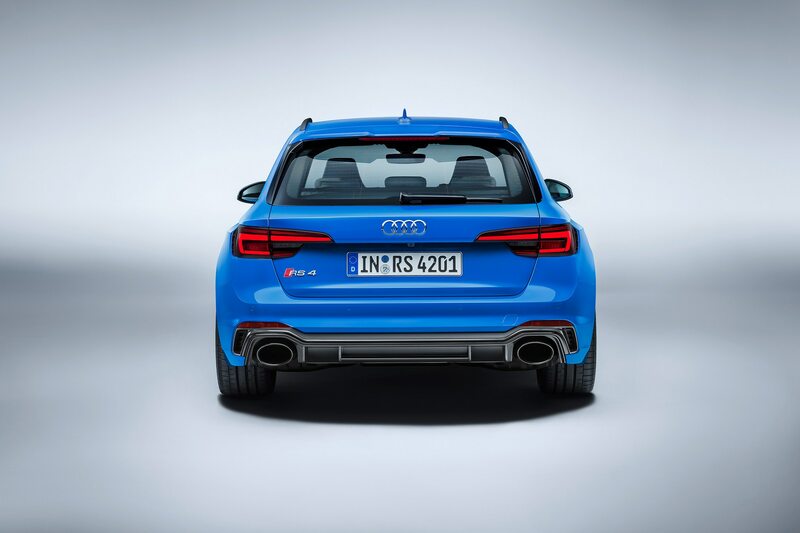 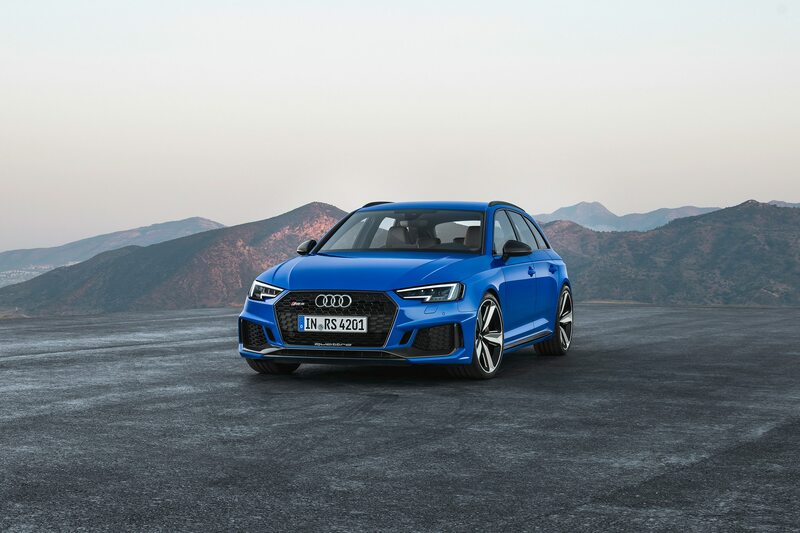 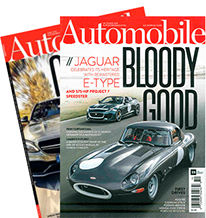 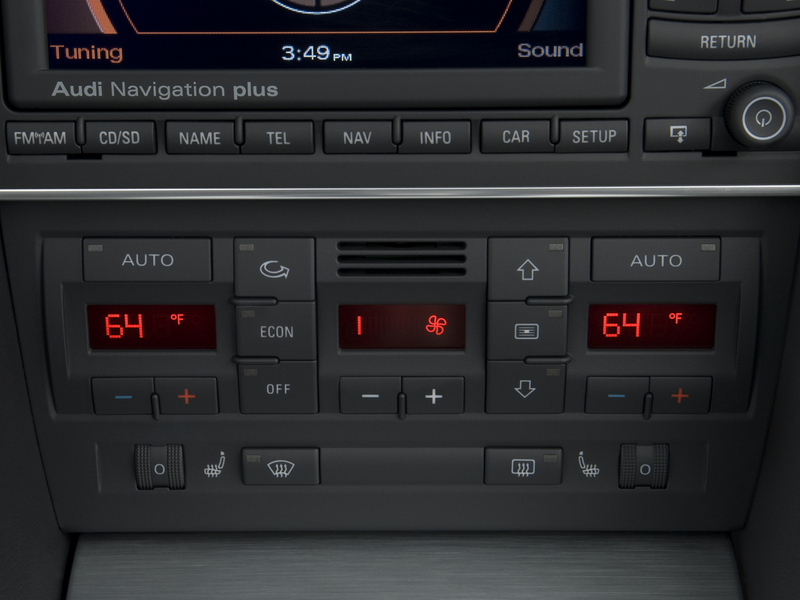 Ten months in, we’ve seen three new models—the 2018 RS 5 coupe that bowed in March at the 2017 Geneva Auto Show, the Audi R8 RWS that bowed first the night before the 2017 Frankfurt show, and the first of the new generation of RS 4s, the 2018 RS 4 Avant. 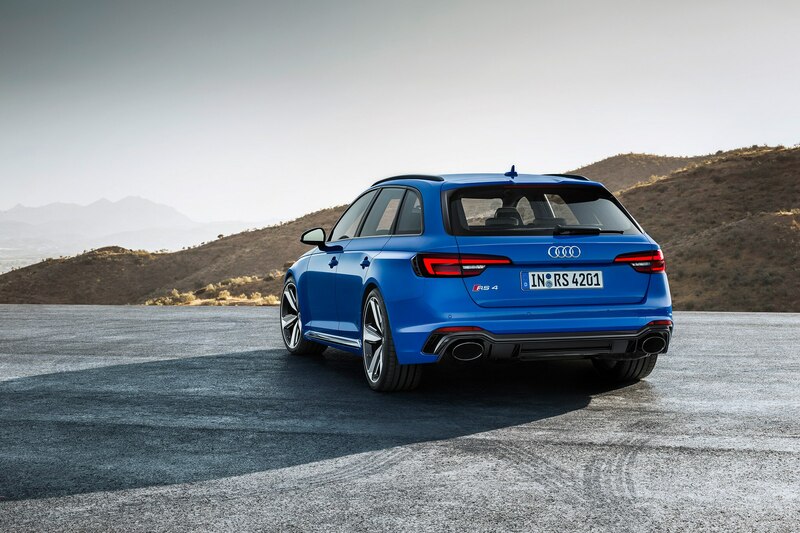 That’s right, Audi is starting the roll-out of the B9 RS 4 lineup with the wagon. 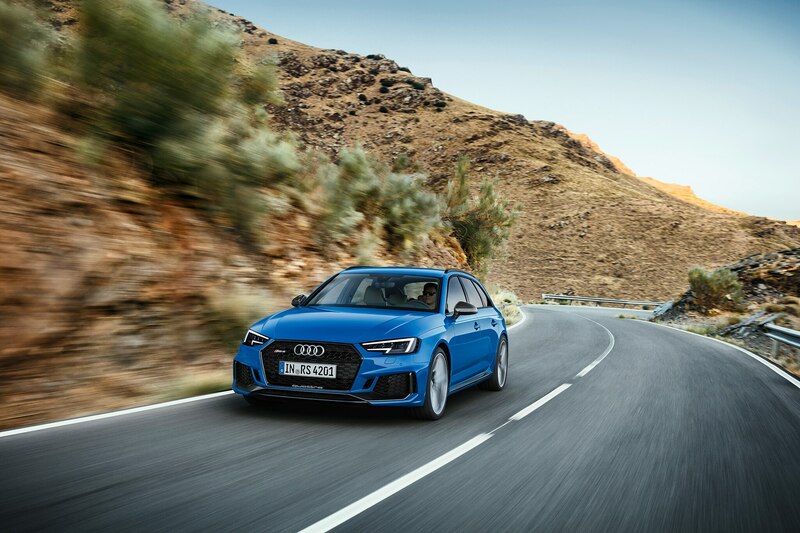 It shouldn’t be that surprising; we saw prototypes of the RS 4 Avant earlier this year, but none have been seen of the sedan. 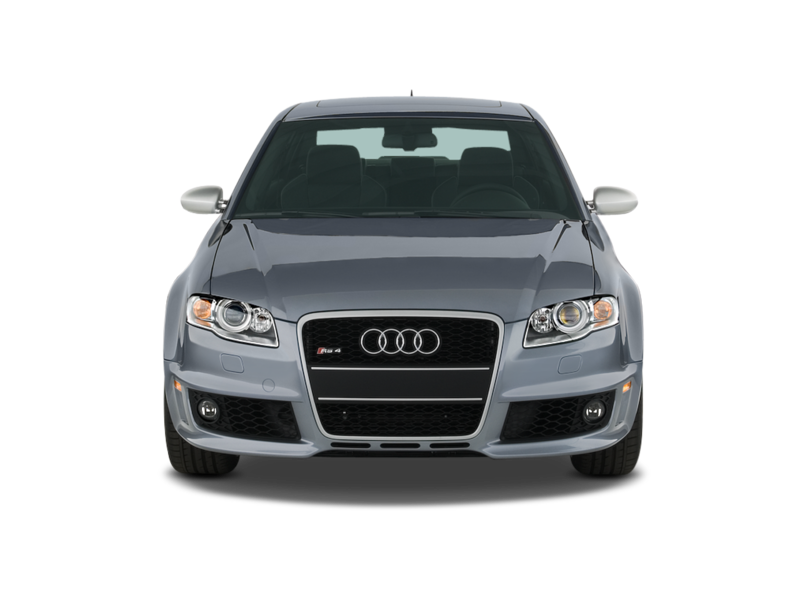 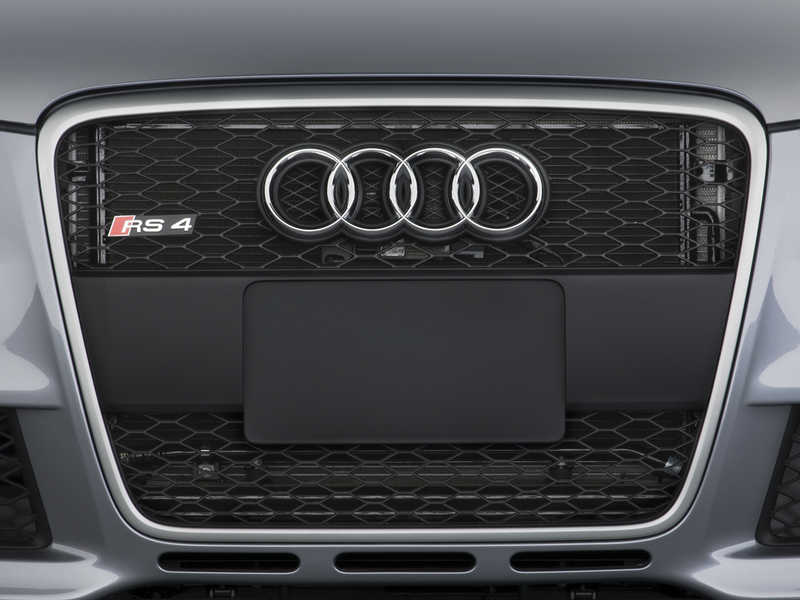 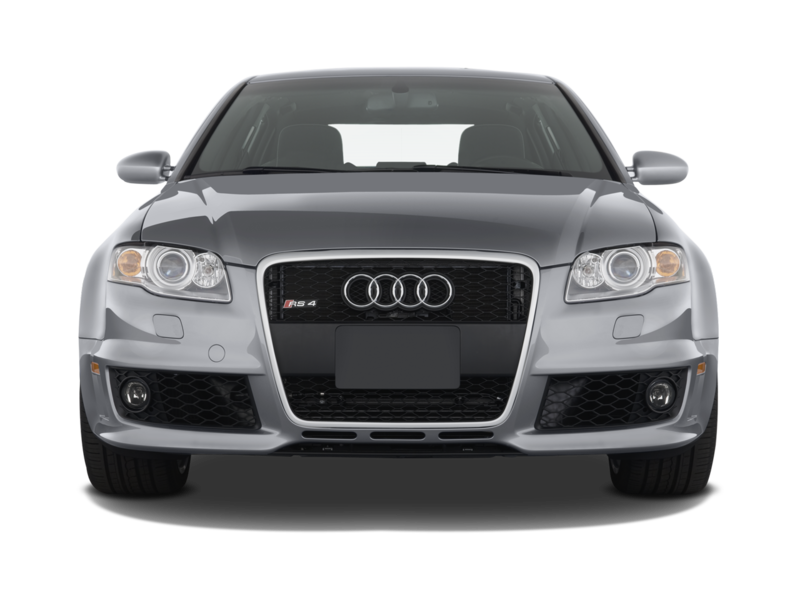 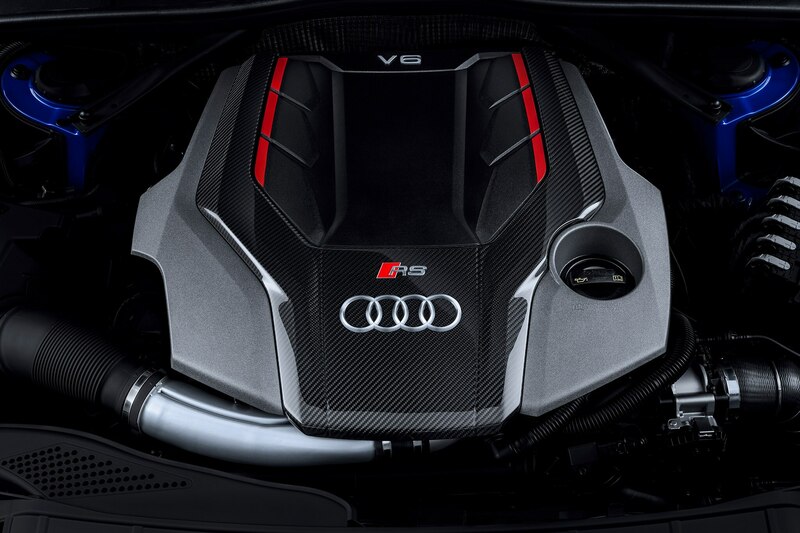 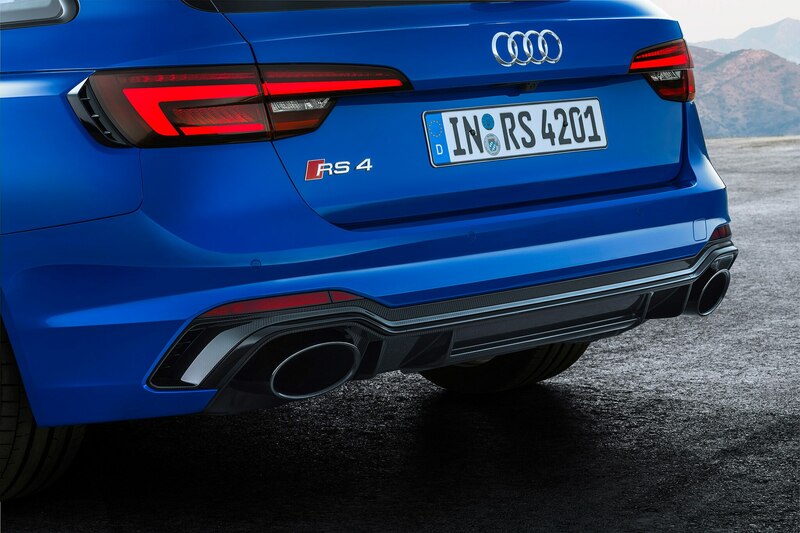 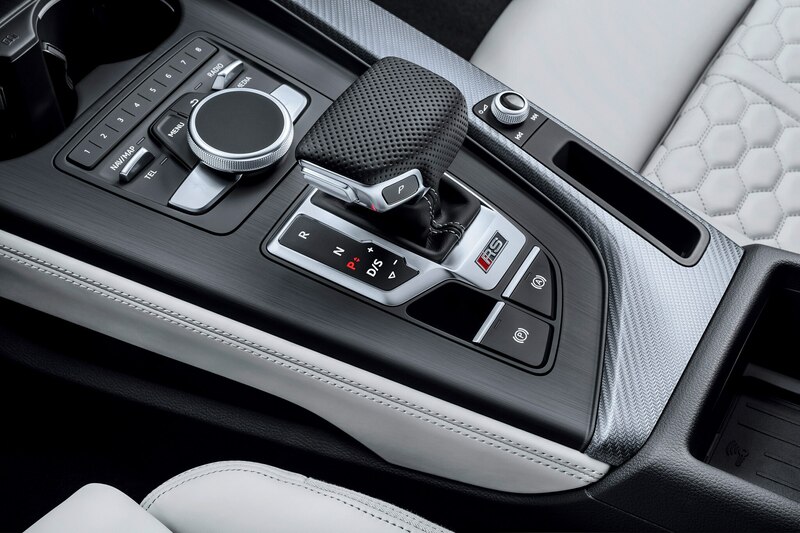 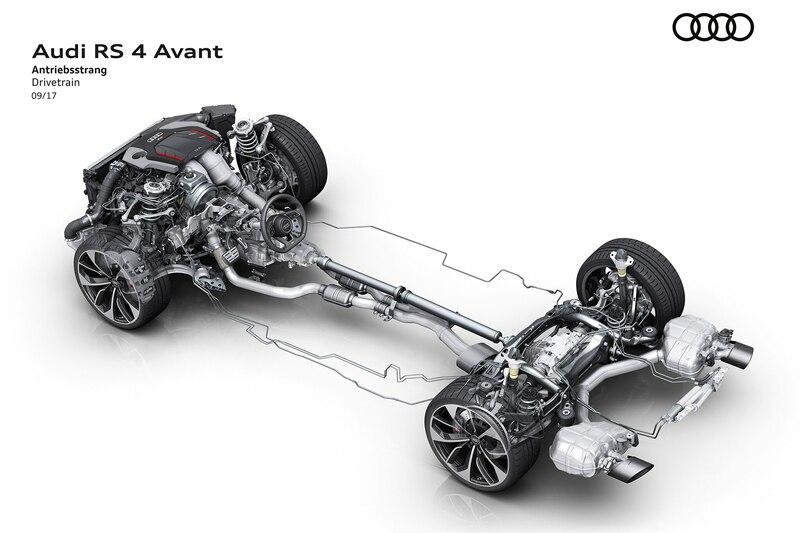 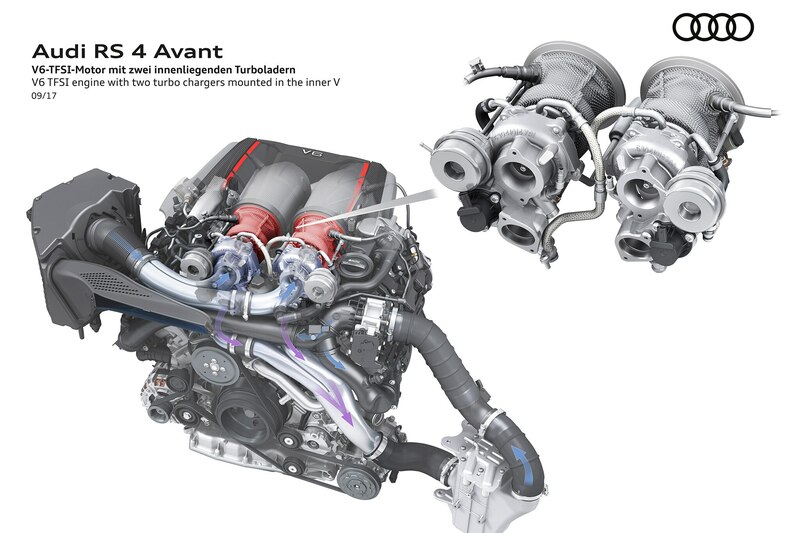 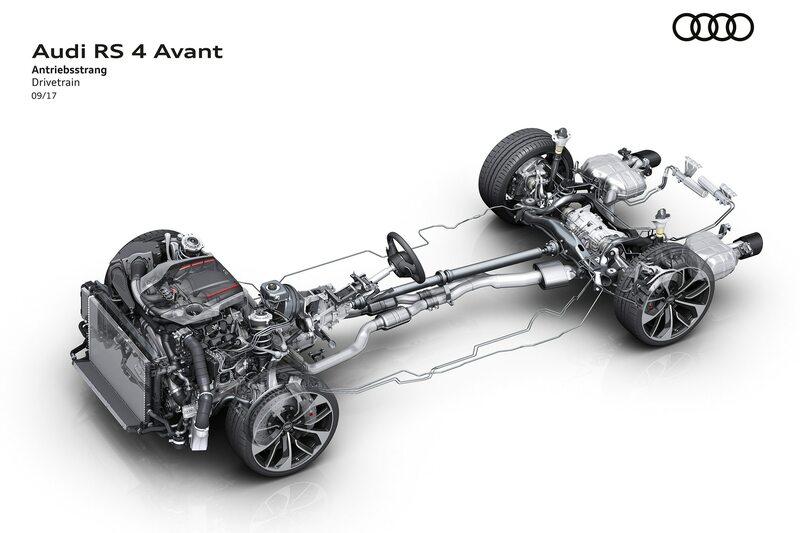 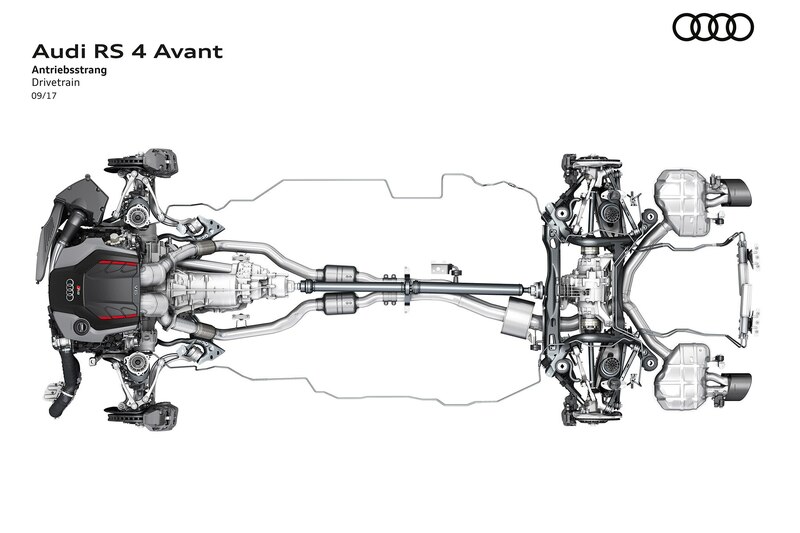 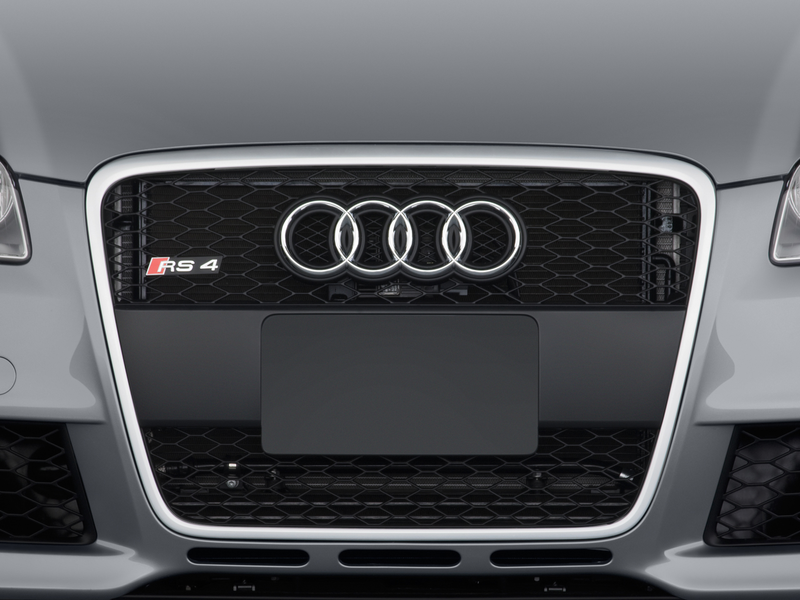 The 2018 Audi RS 4 Avant is powered by the same 2.9-liter twin-turbo V-6 found in the RS 5, here delivering the same 444 hp and 443 lb-ft of torque, which is distributed to all four wheels by the same eight-speed automatic. 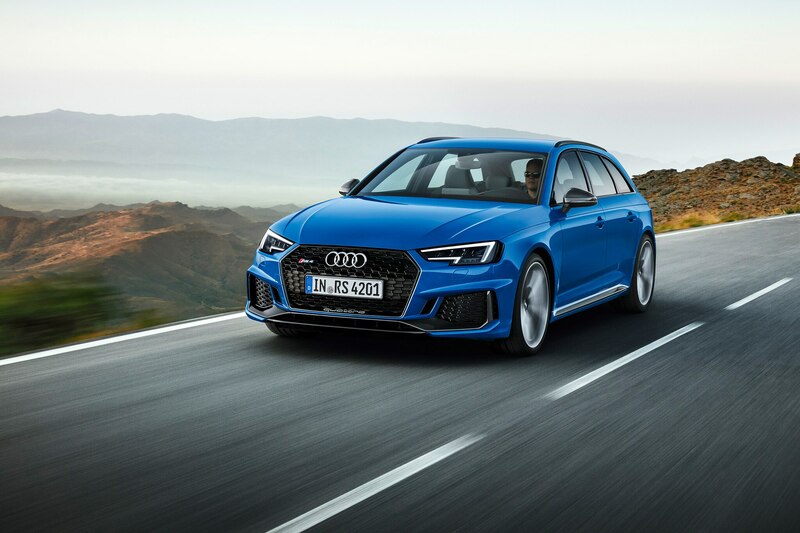 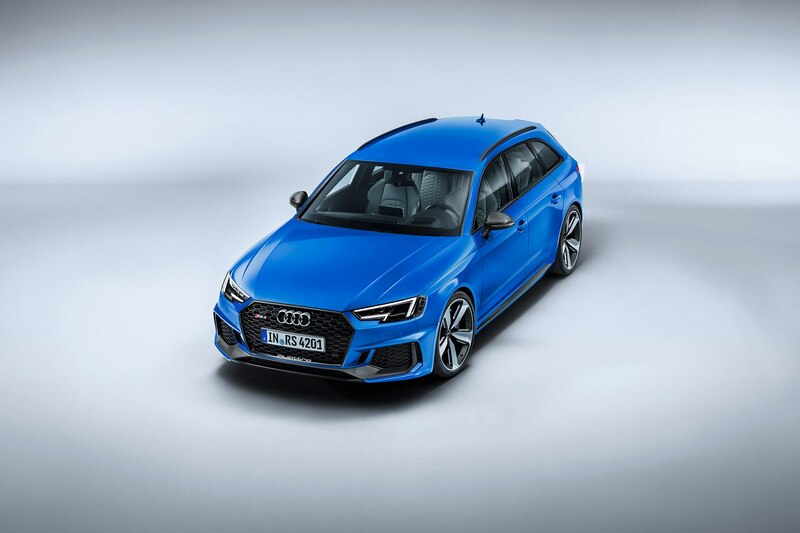 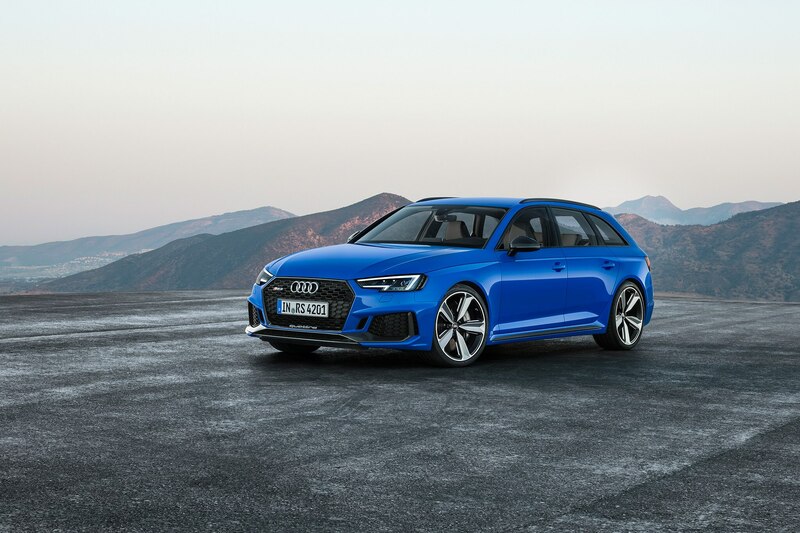 Audi claims a 0-62 mph time of 4.1 seconds for the 3,946-lb sports wagon, 0.4-second slower than the RS 5 and 0.3-second quicker than the S4. 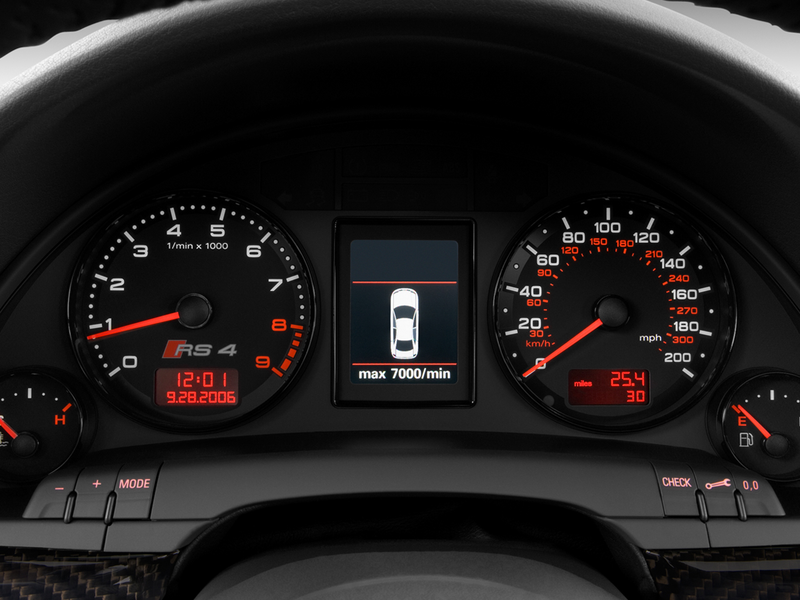 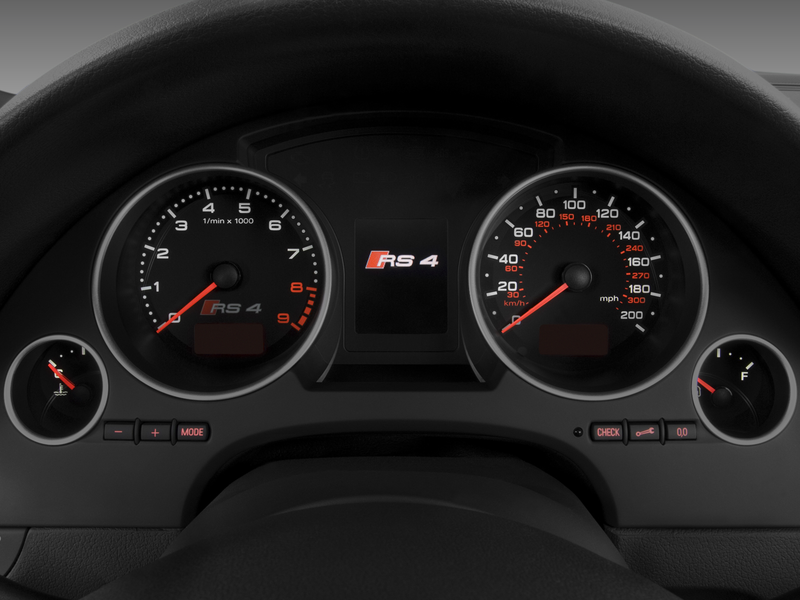 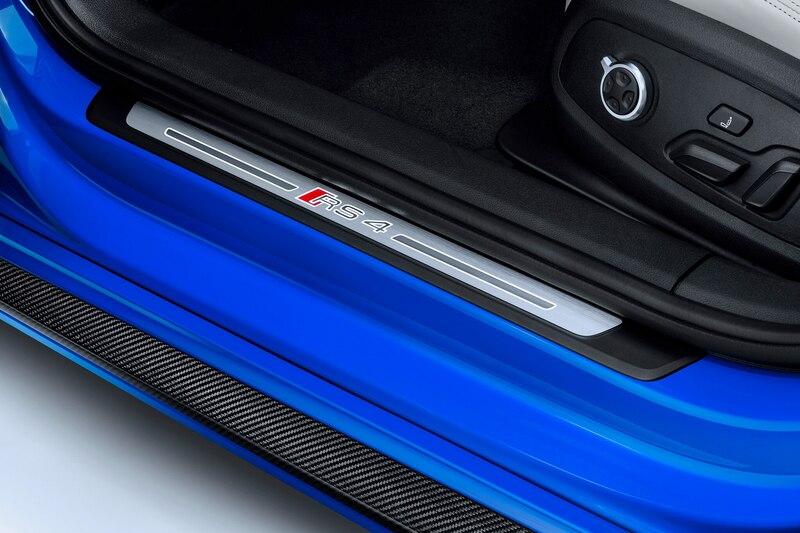 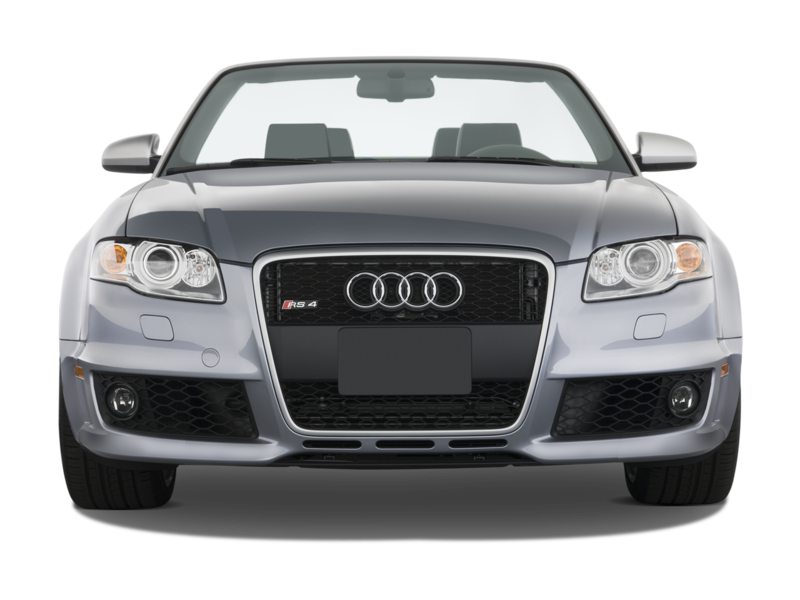 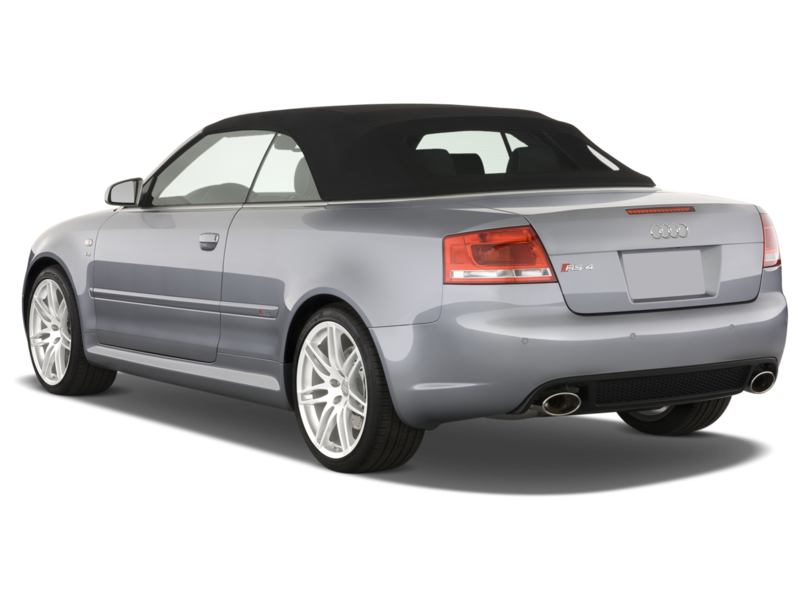 Top speed sits at 155 mph, but goes up to 174 mph with the optional RS dynamic package. 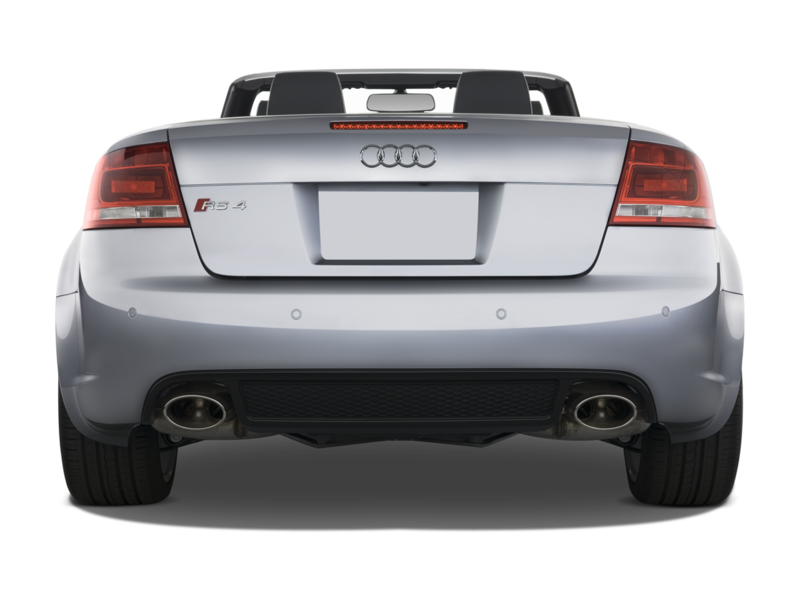 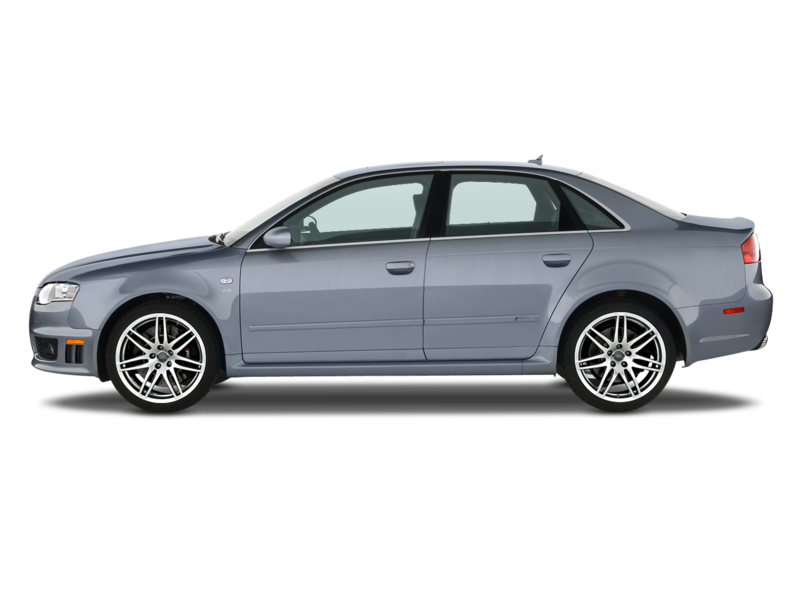 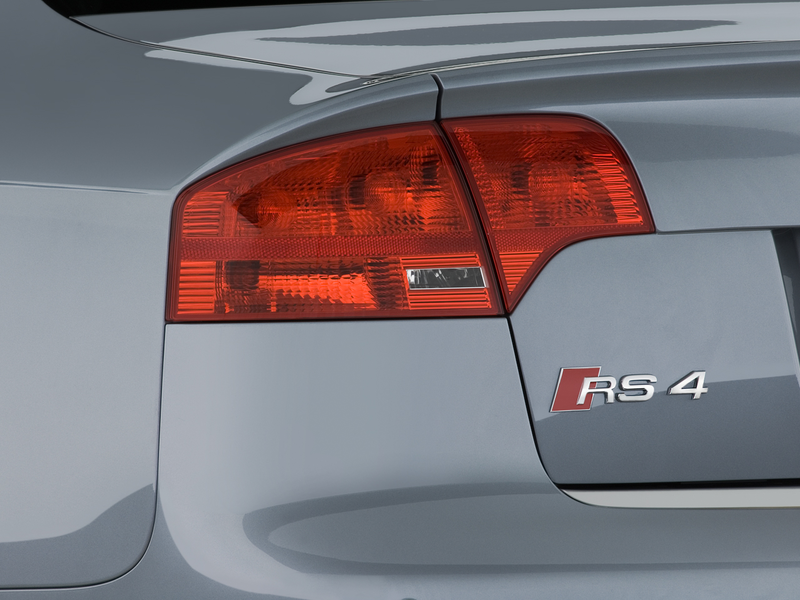 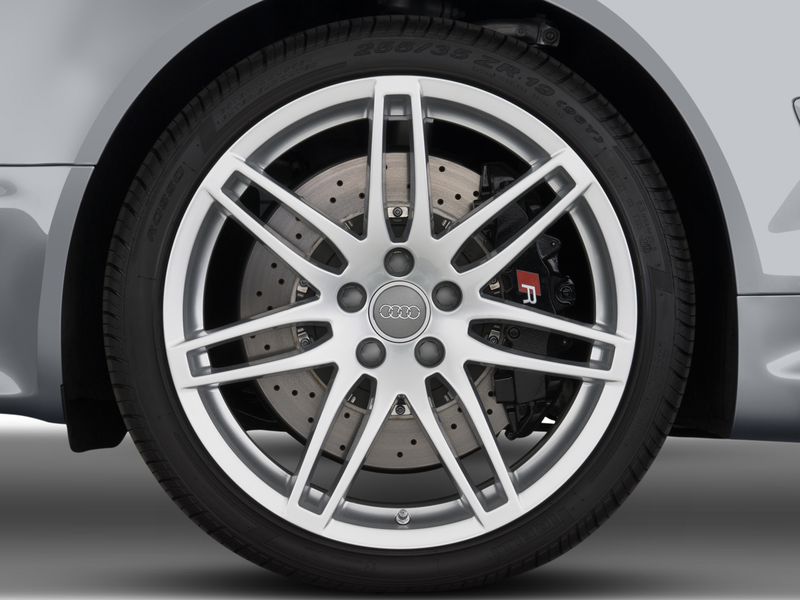 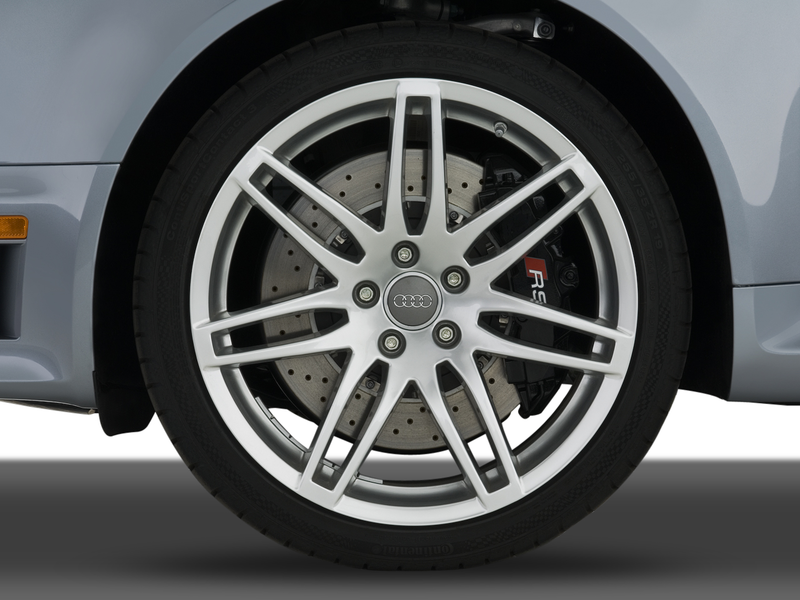 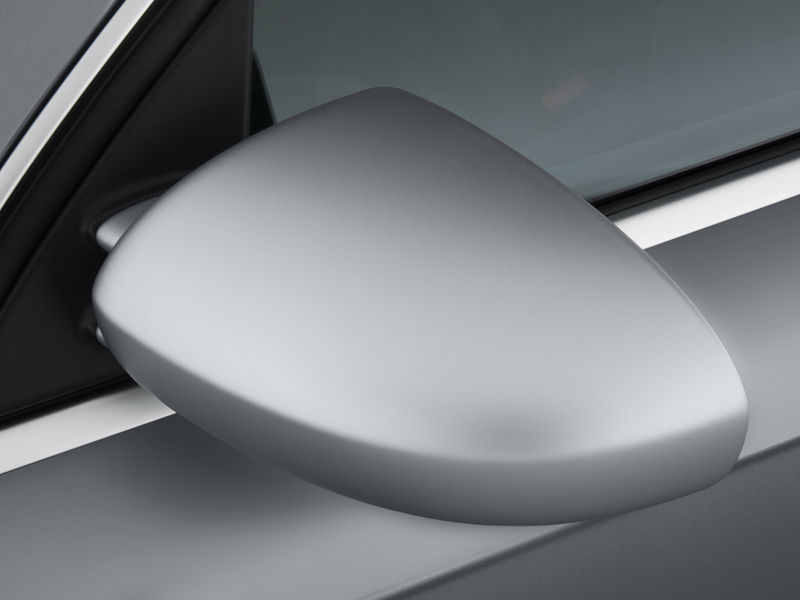 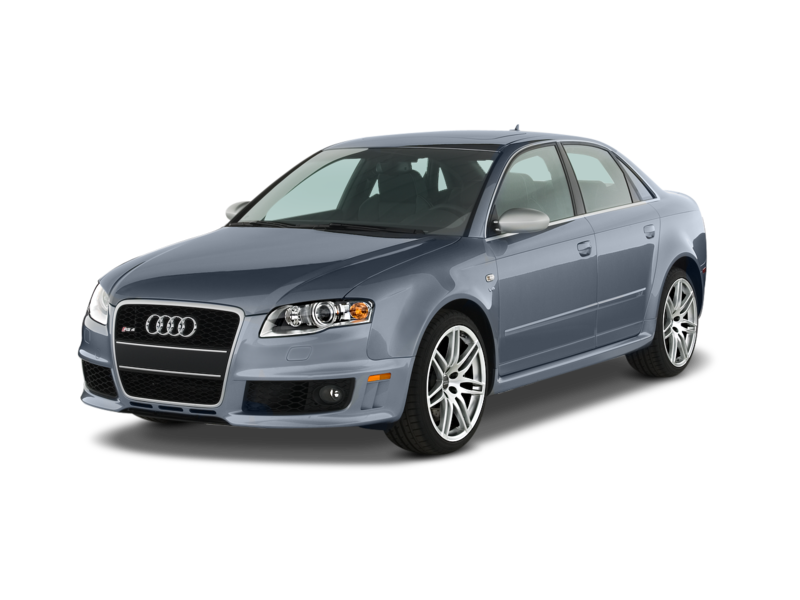 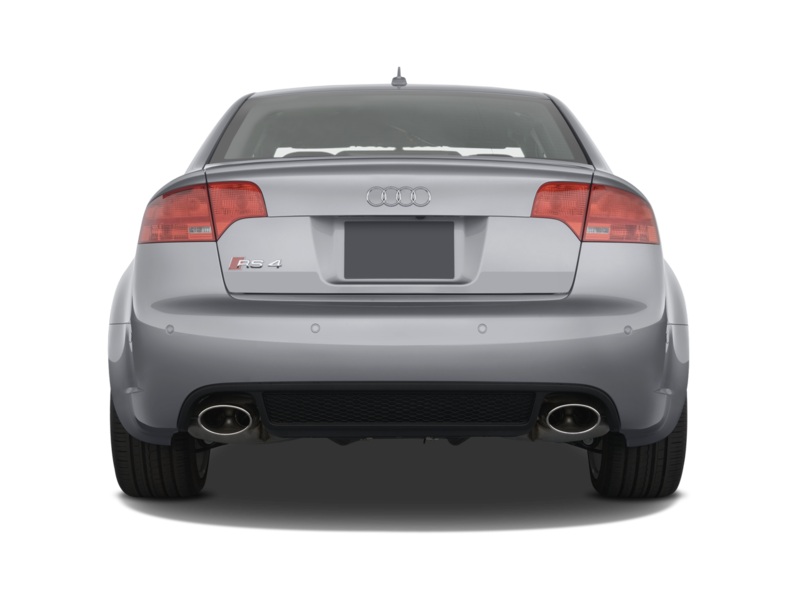 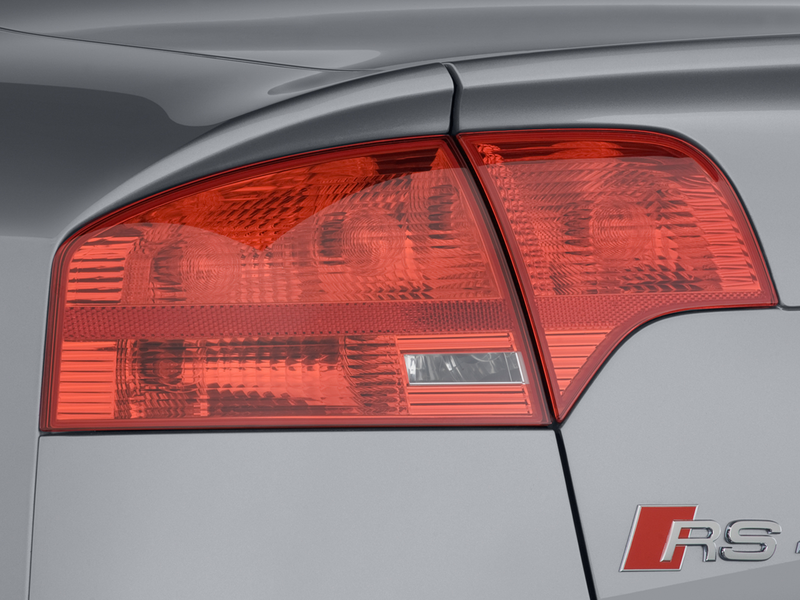 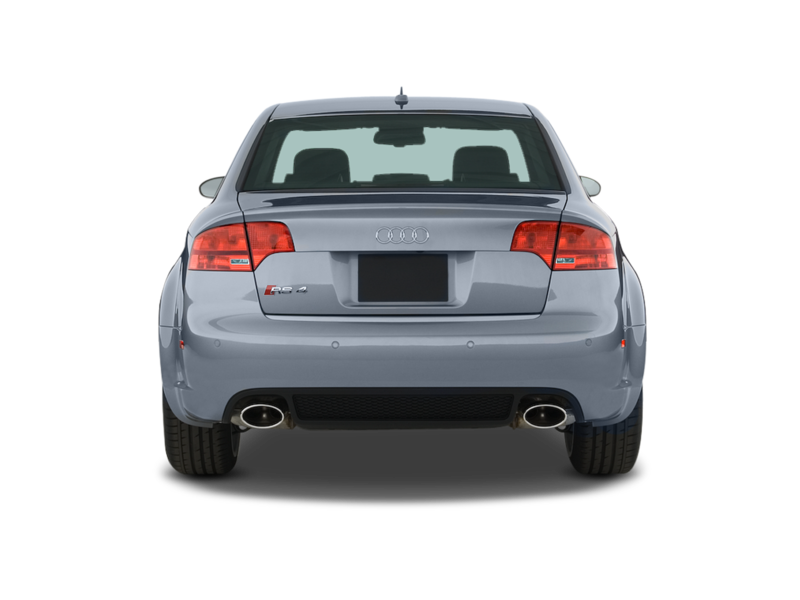 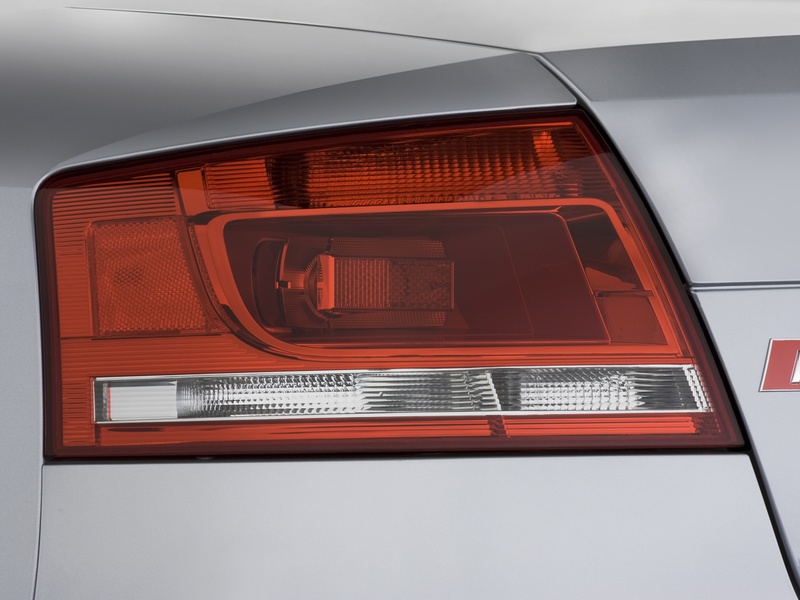 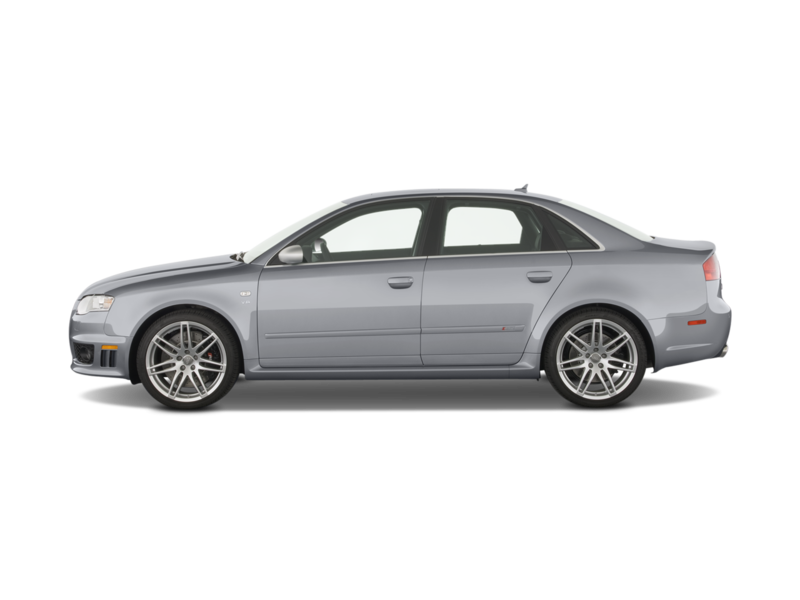 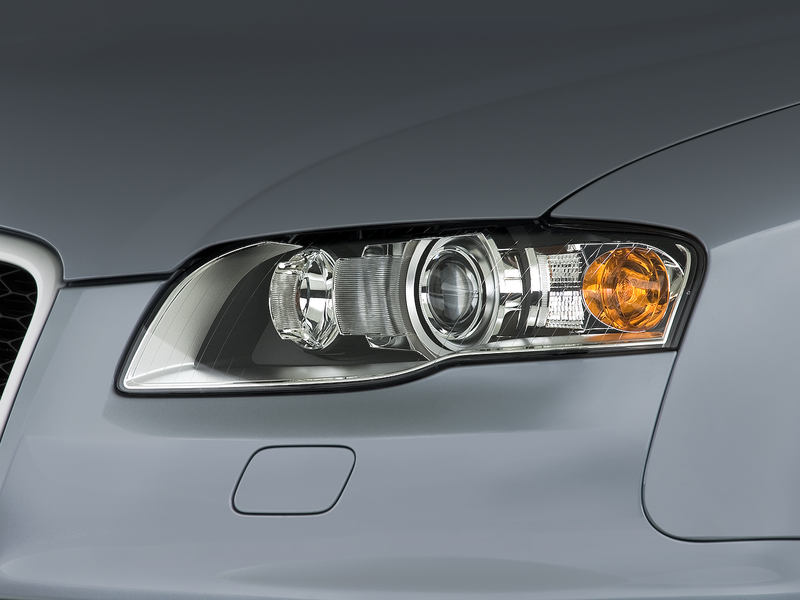 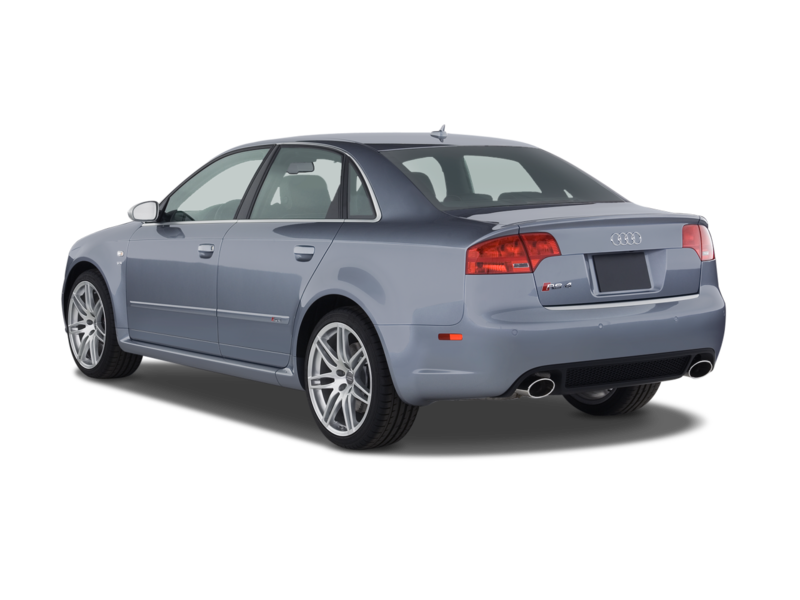 Distinguishing the RS 4 from the rest of the B9 A4 lineup are wheel arches that are 1.2-inch wider, a stance that’s 0.3-inch lower than the A4’s even with its sports suspension, an aggressive front fascia and grille, and beefy twin exhausts. 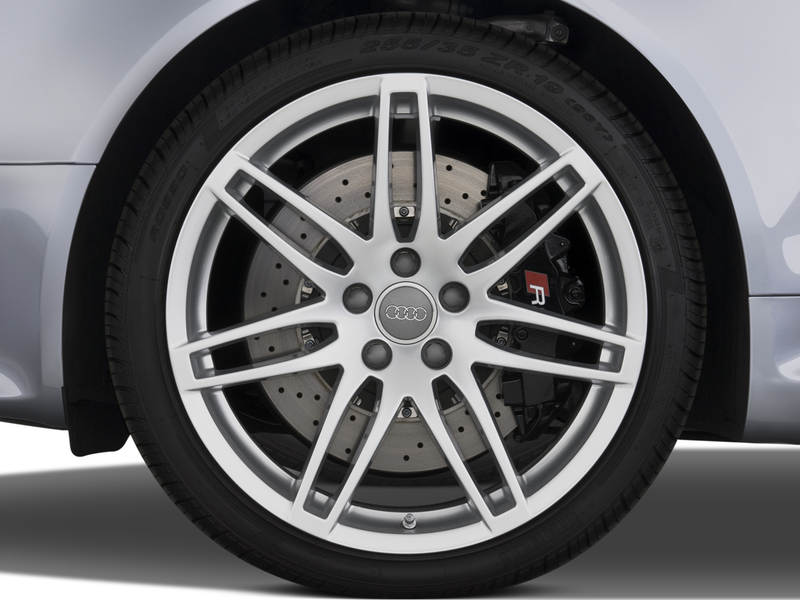 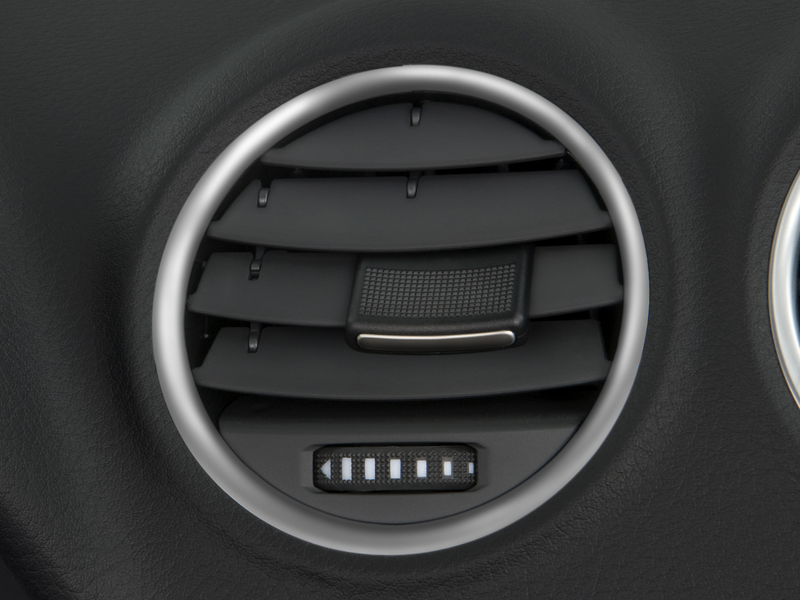 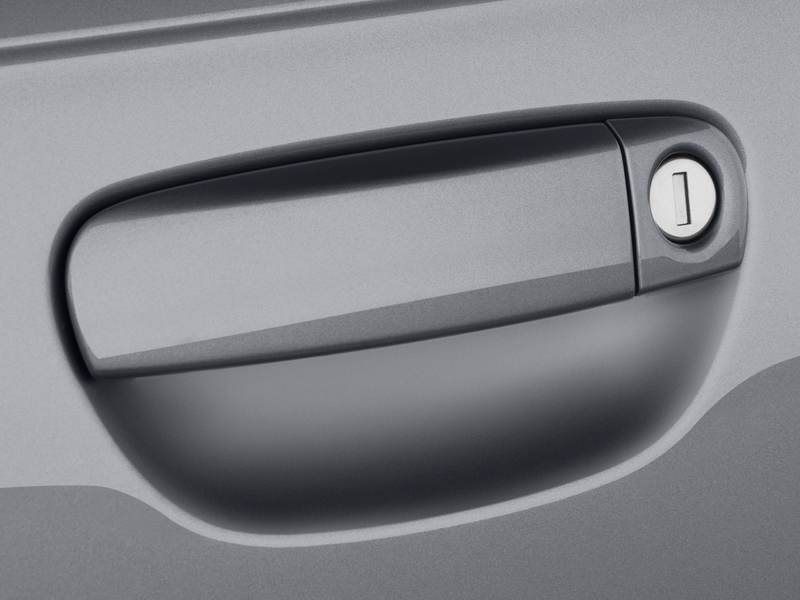 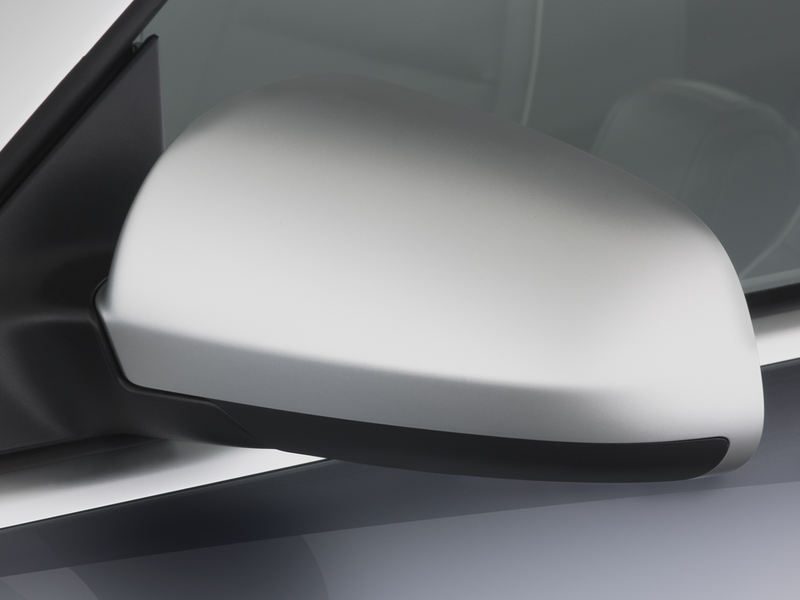 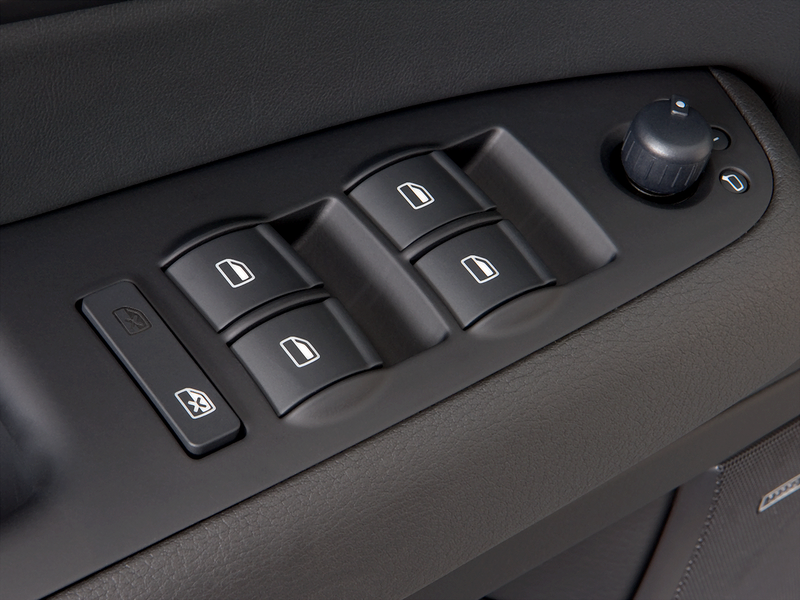 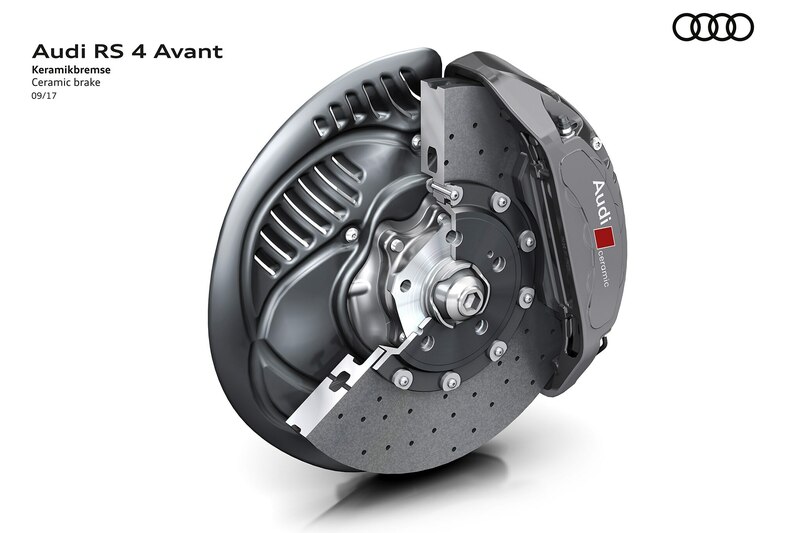 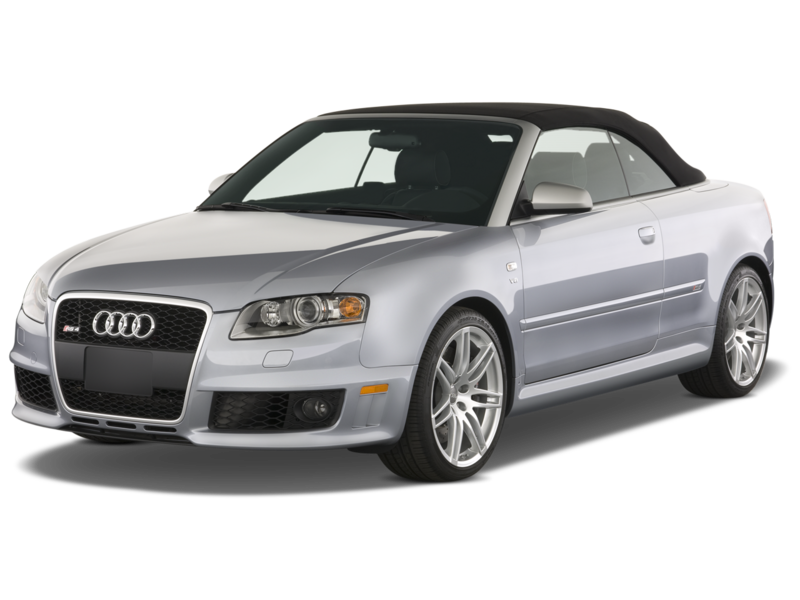 It rides on 19-inch wheels standard, with 20s available as an option. 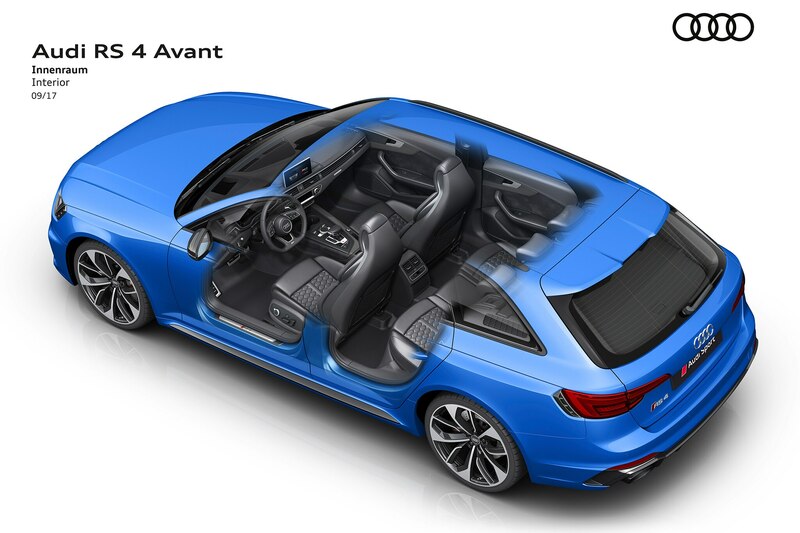 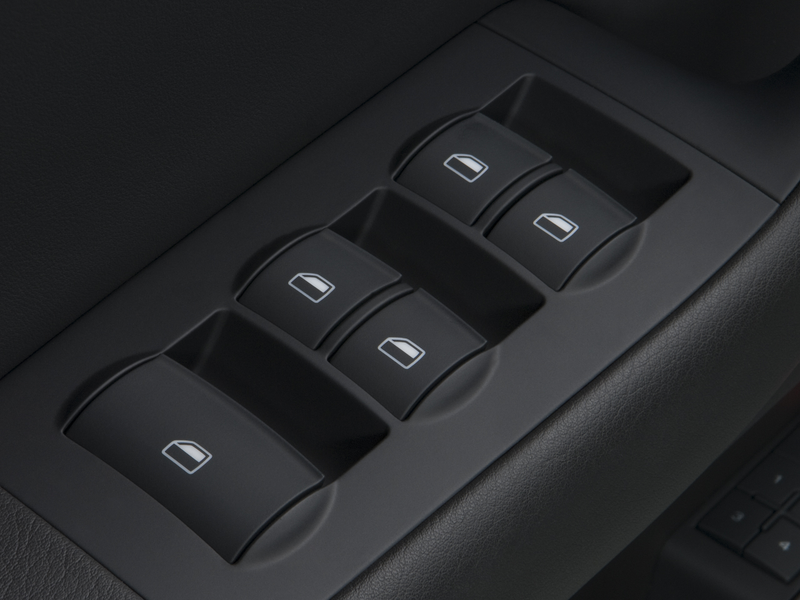 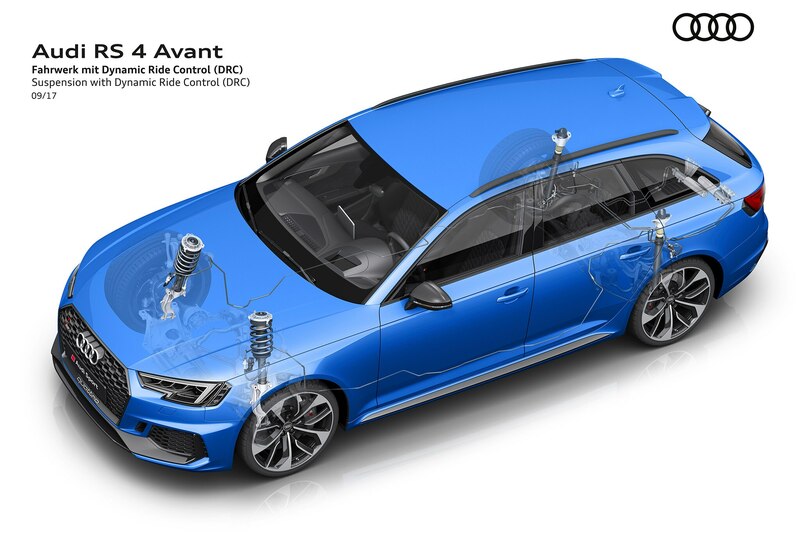 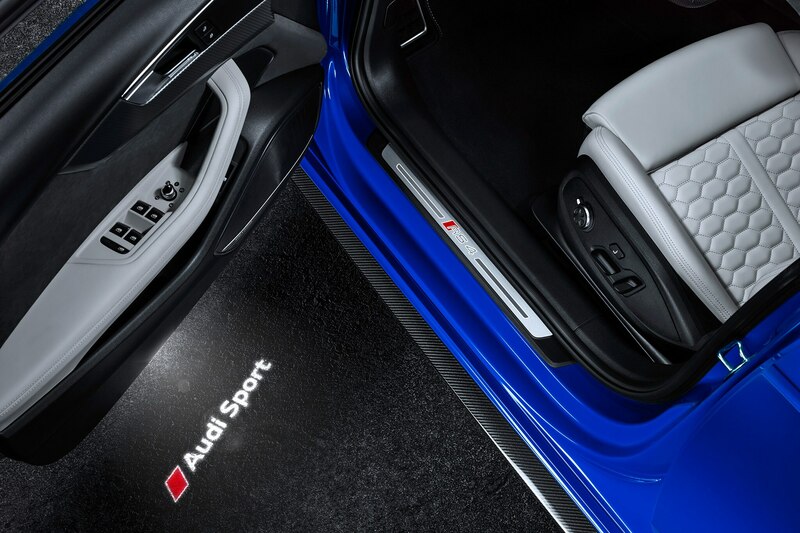 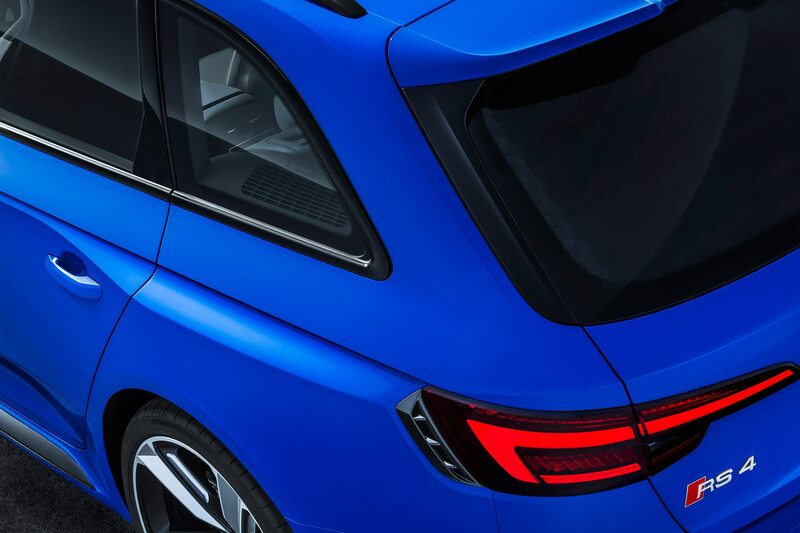 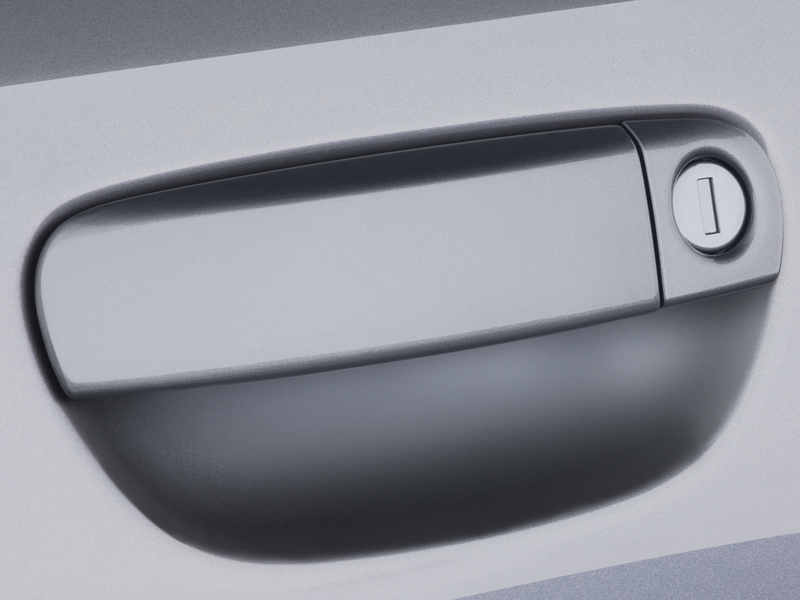 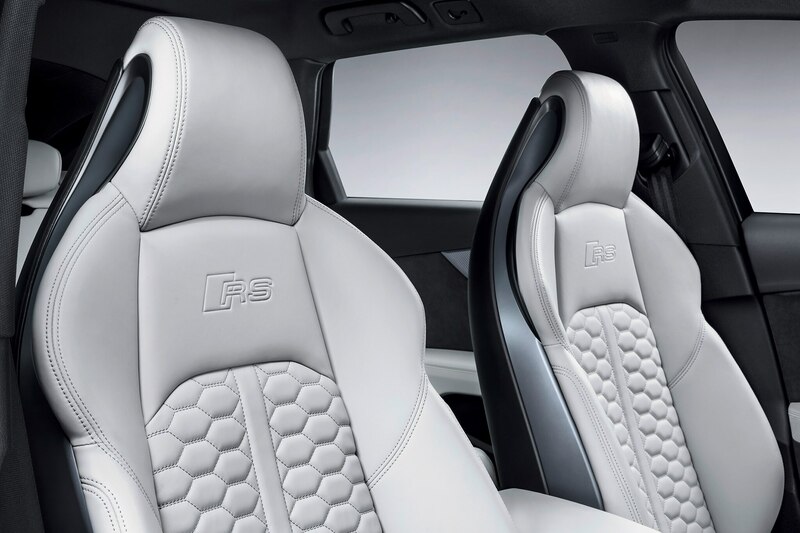 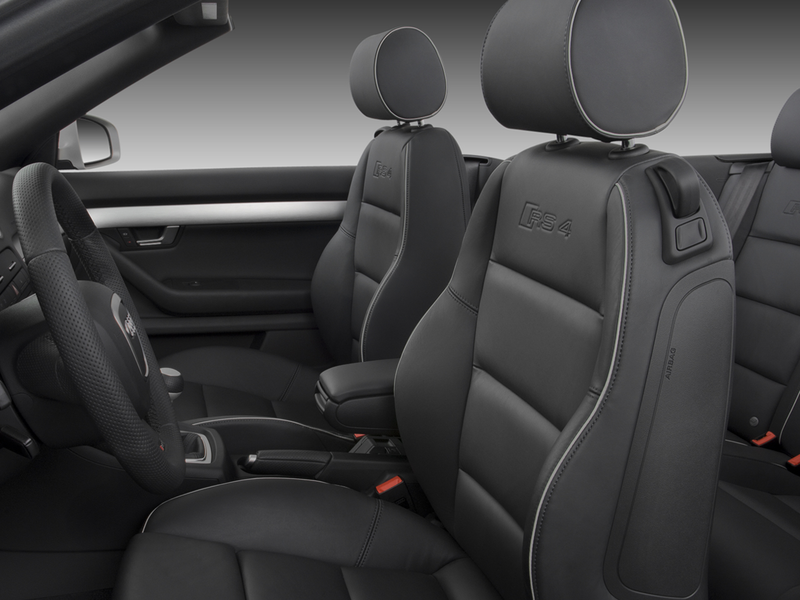 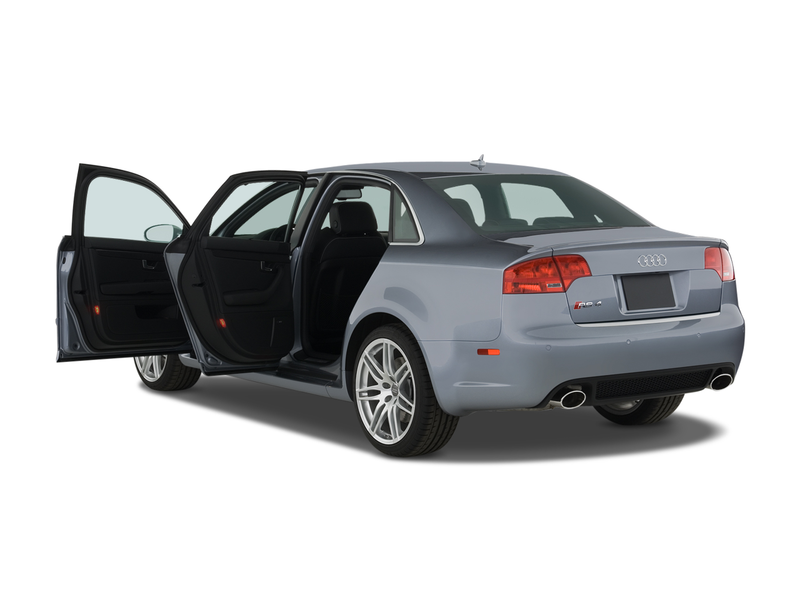 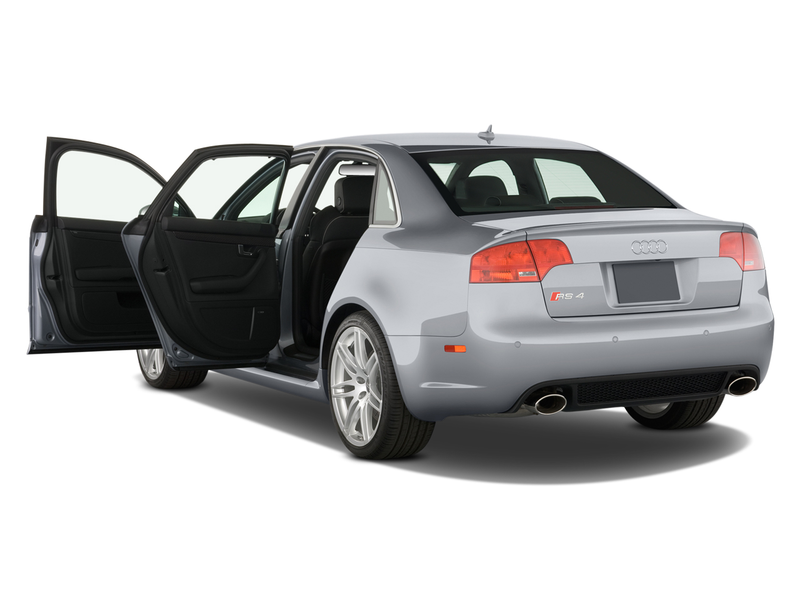 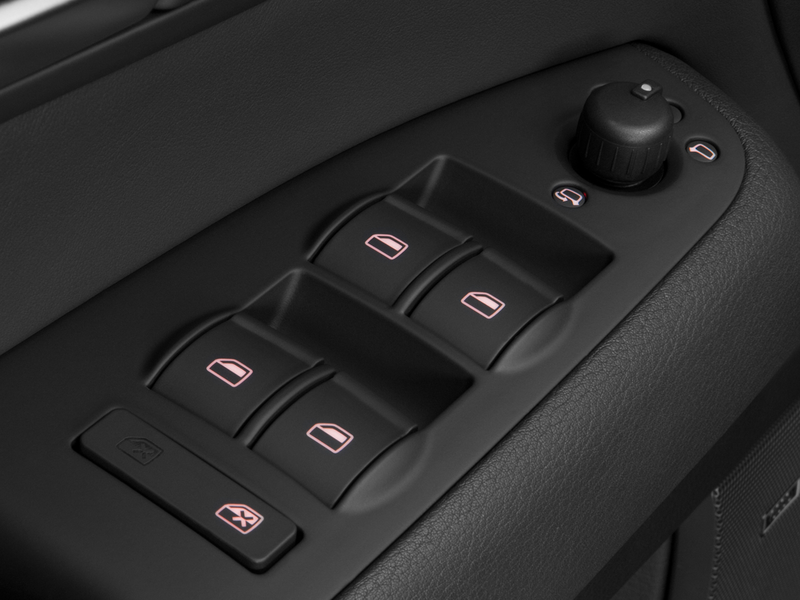 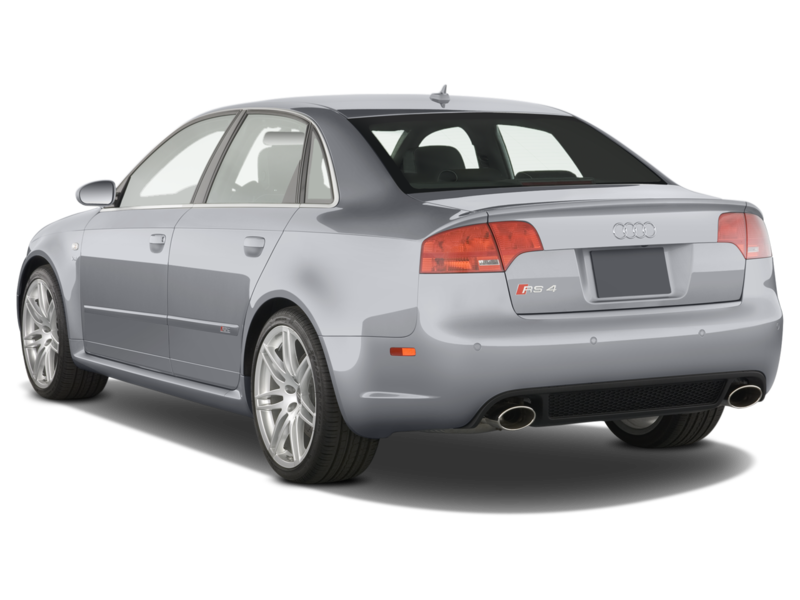 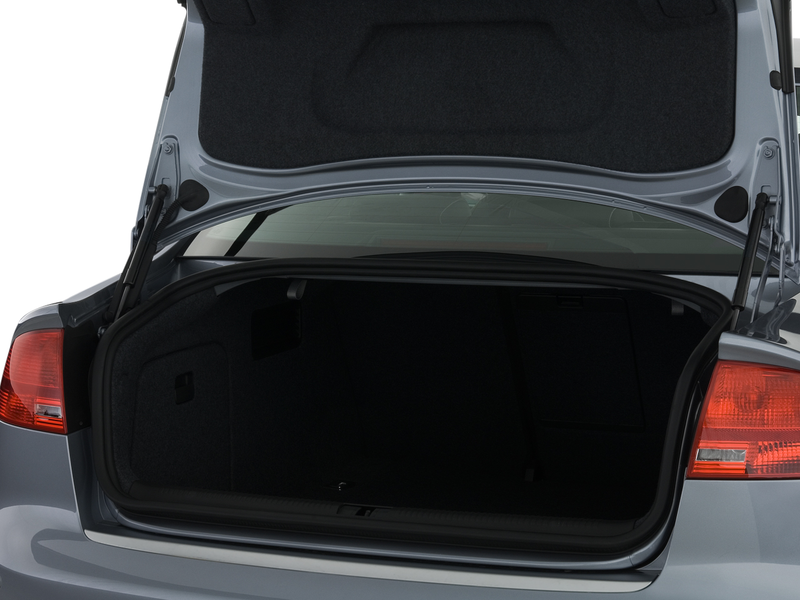 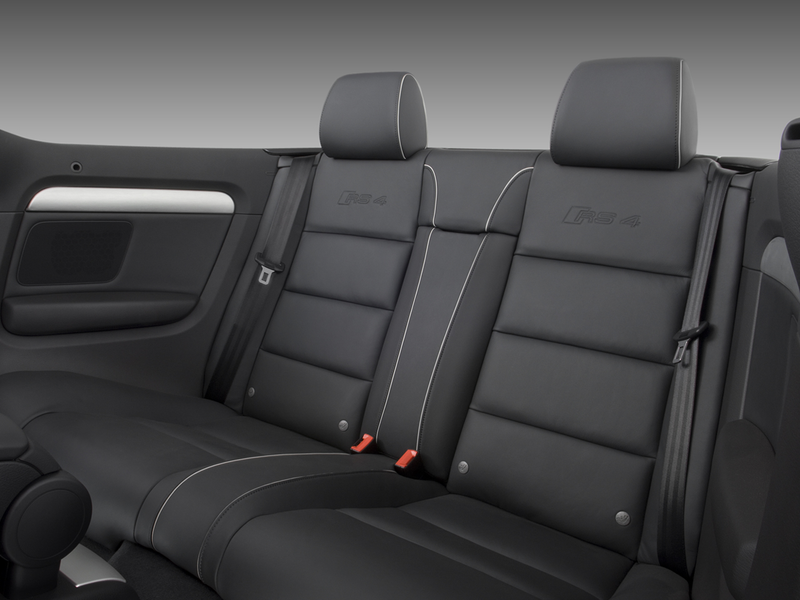 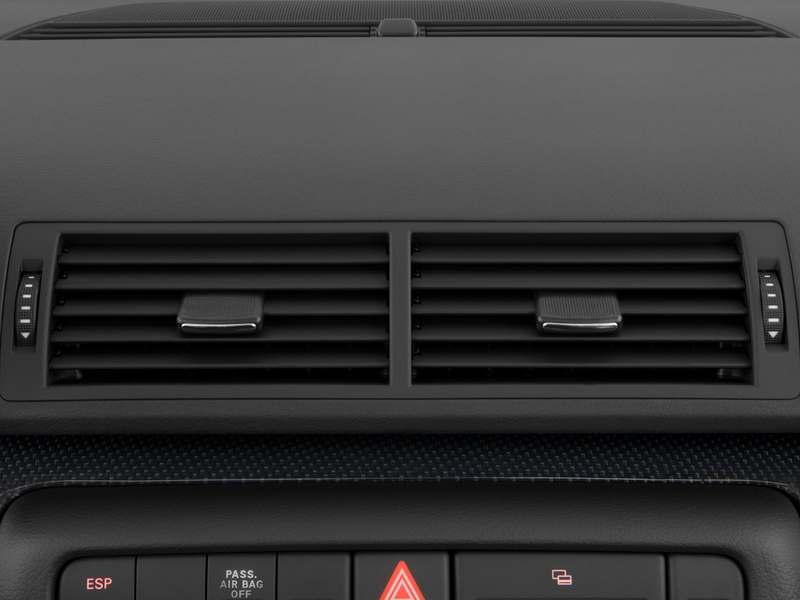 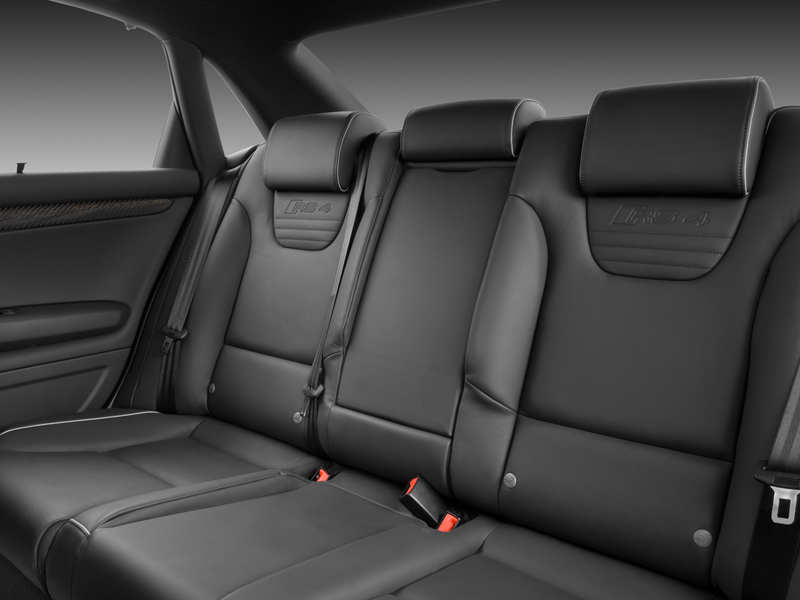 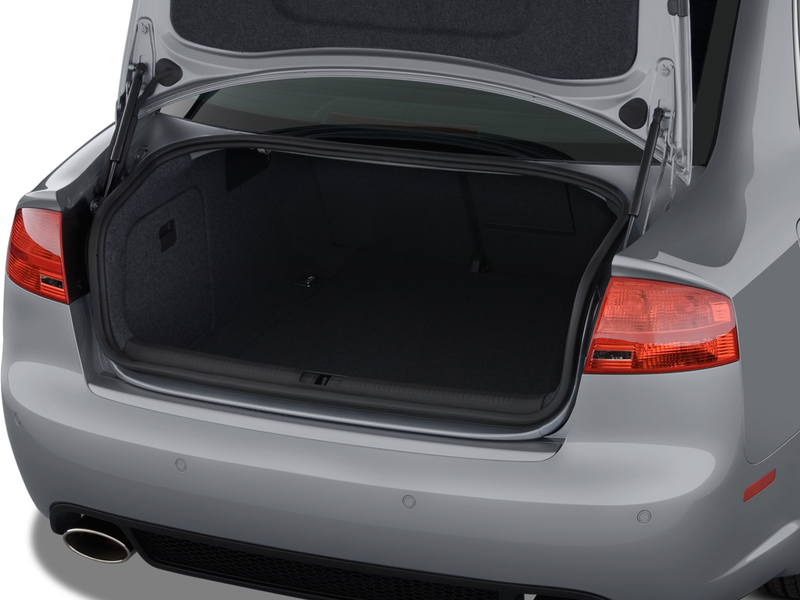 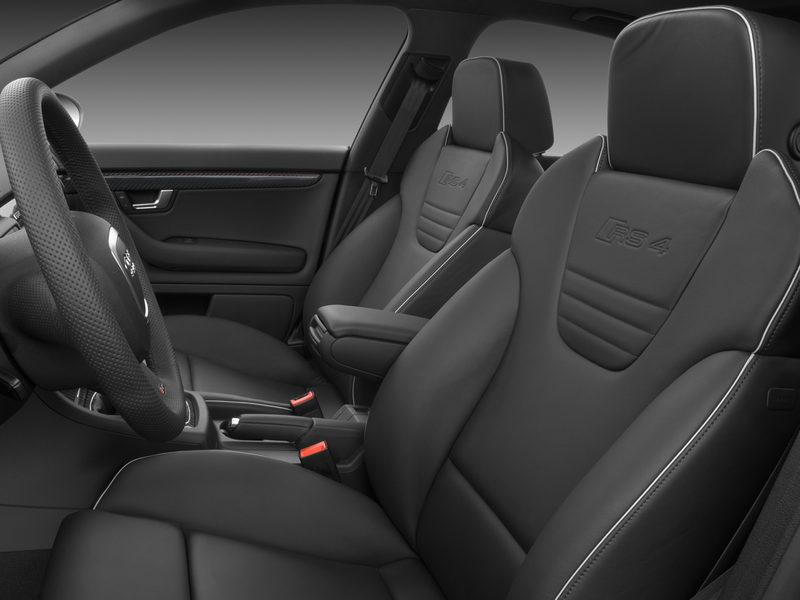 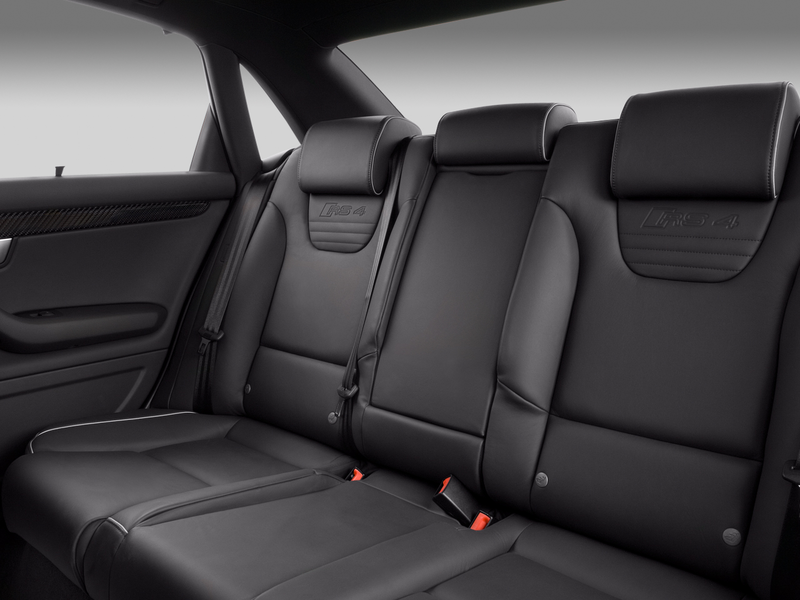 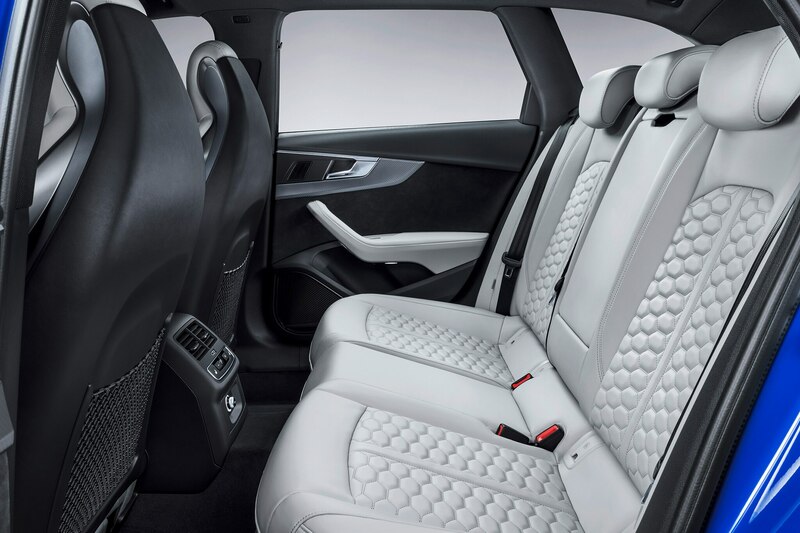 Audi didn’t release detailed specs for the new RS 4, but the not-for-U.S. S4 Avant boasts 17.8 cu ft of space behind the rear seats and 53.3 cu ft with those seats folded. 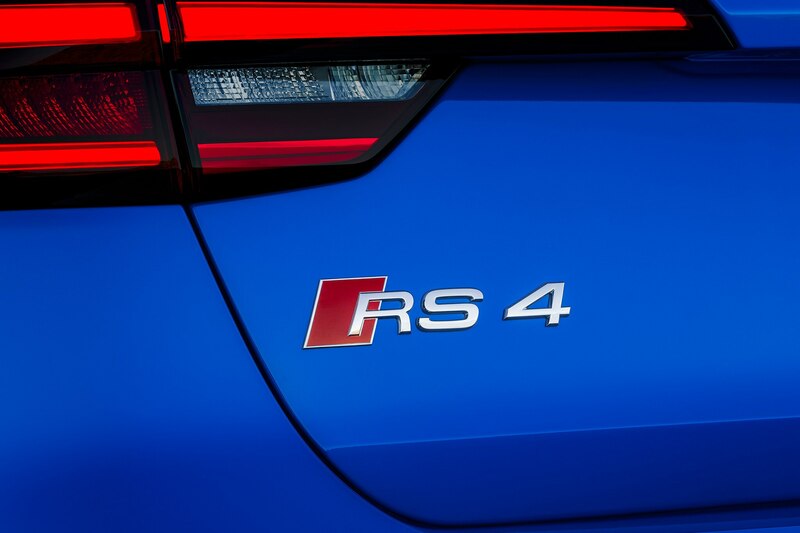 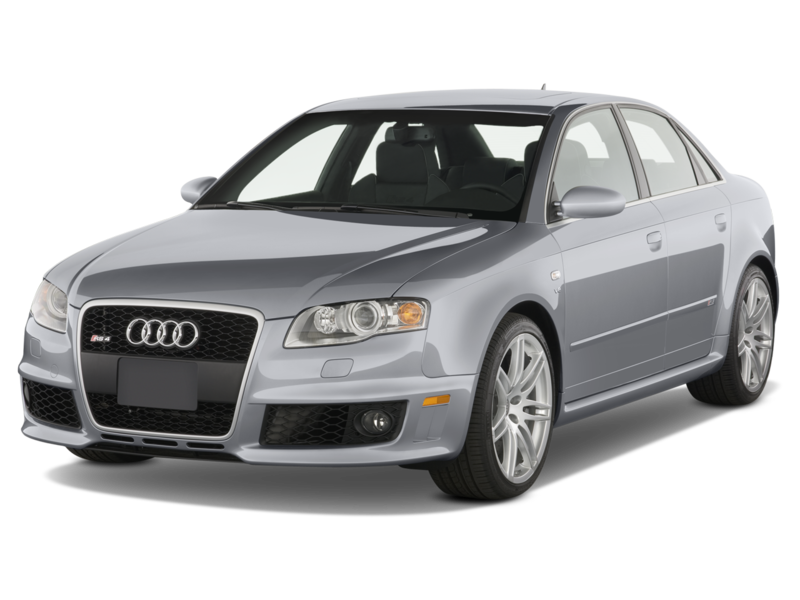 Unlike that S4, however, the RS 4 Avant may well make it to American shores given that Audi has become less stingy when it comes to sending RS models across the Atlantic. 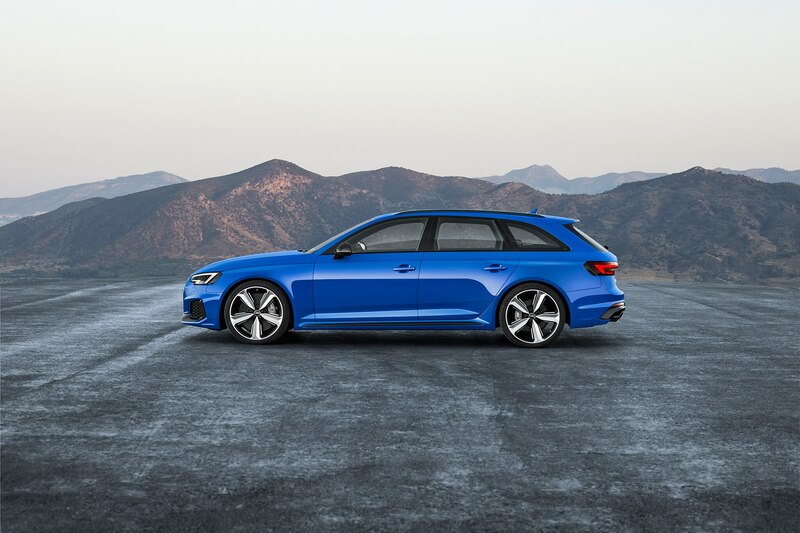 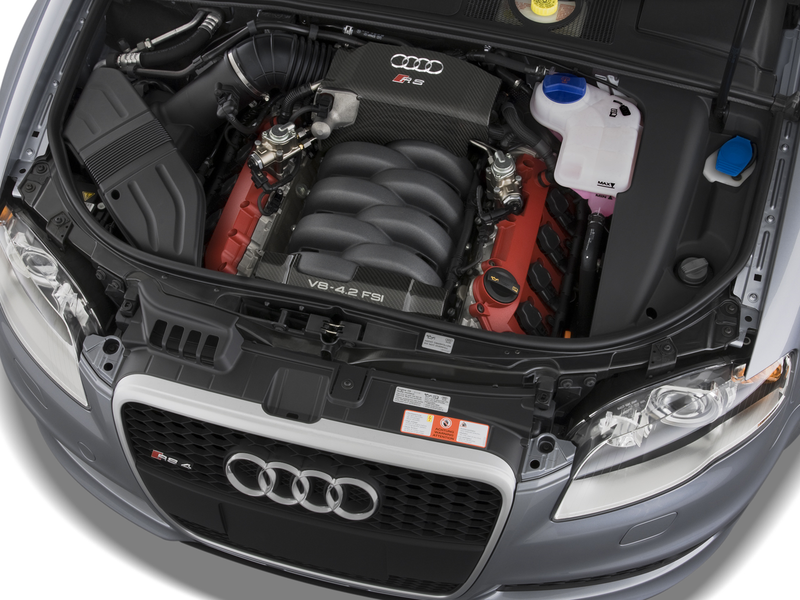 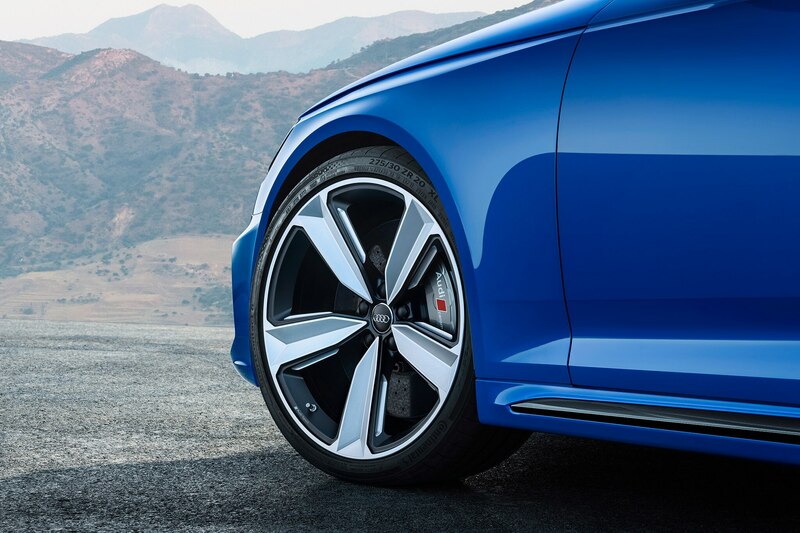 It’s definitely making it to China, where Audi says it will be the only high-performance wagon in its segment. 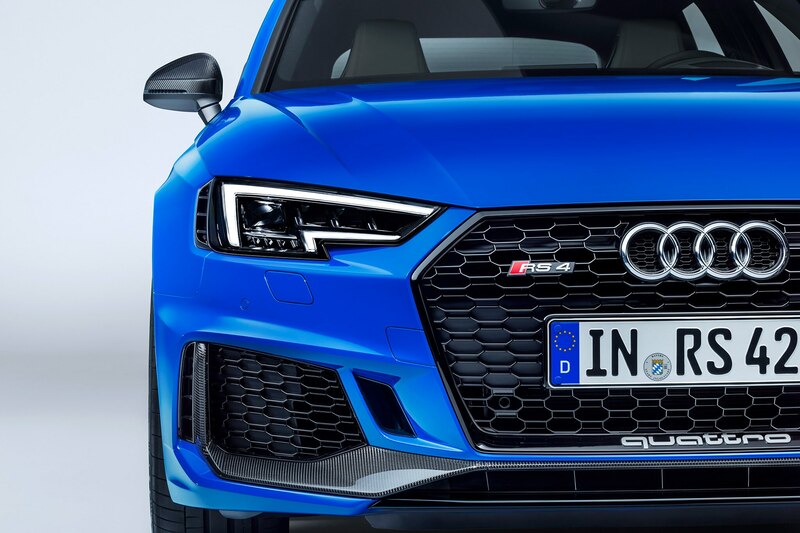 Europe gets first dibs, however. 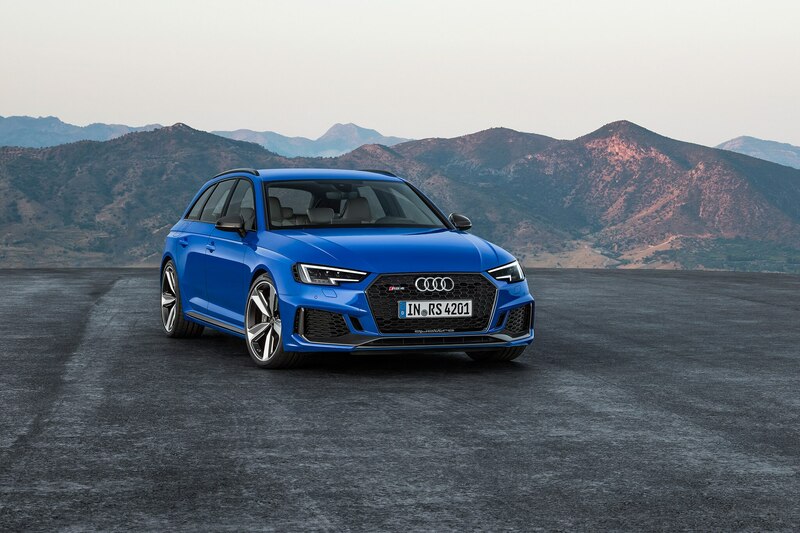 The 2018 RS 4 Avant goes on sale there in early 2018 before expanding to other markets. 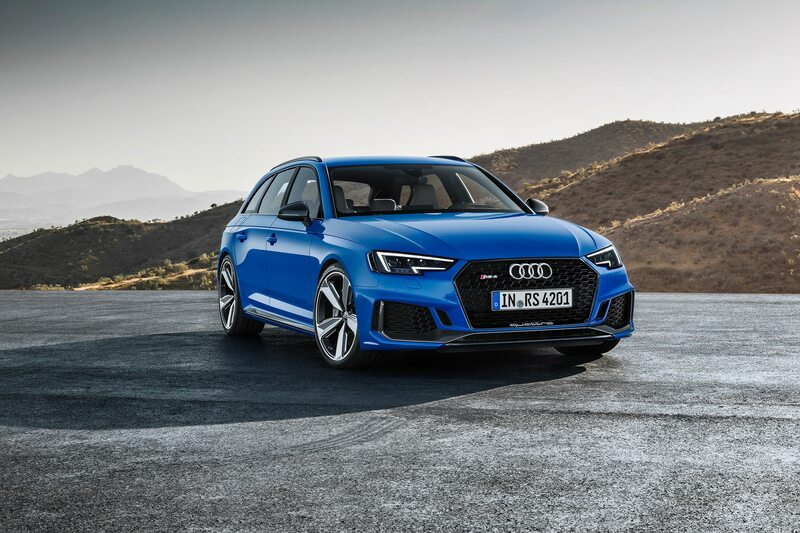 Old World buyers will need to put down a considerable 79,800 Euro—$95,417 at today’s exchange rates—but a U.S. model, if it happens, would likely start somewhere around $75,000.